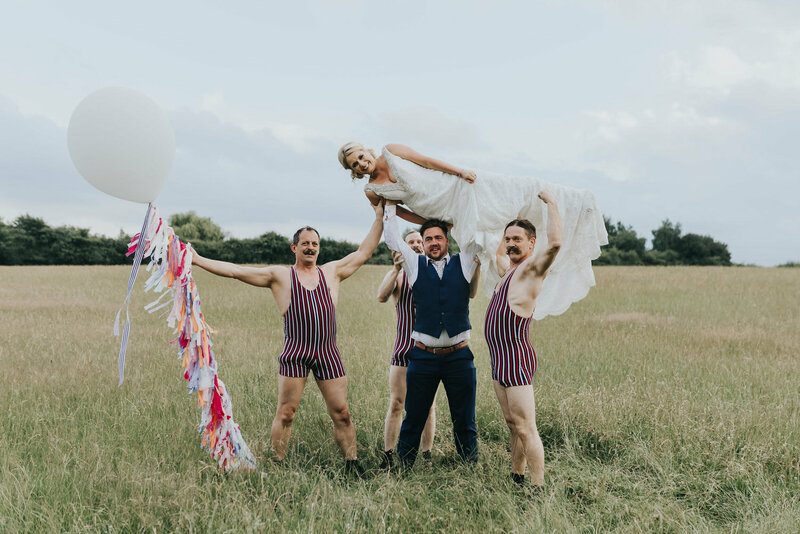 When you get an wedding enquiry with the words ‘alternative funfair wedding’ it’s hard not to get excited! 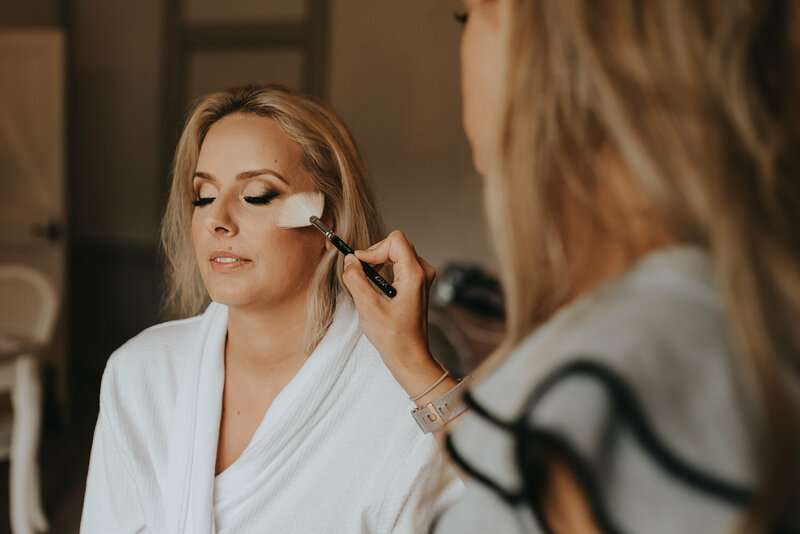 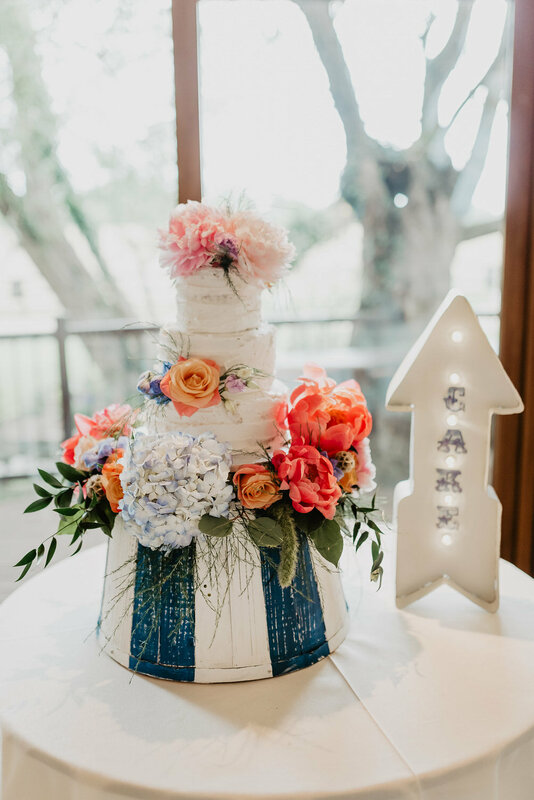 I totally dig couples doing their own thing and creating wedding masterpieces that are so unique and special! 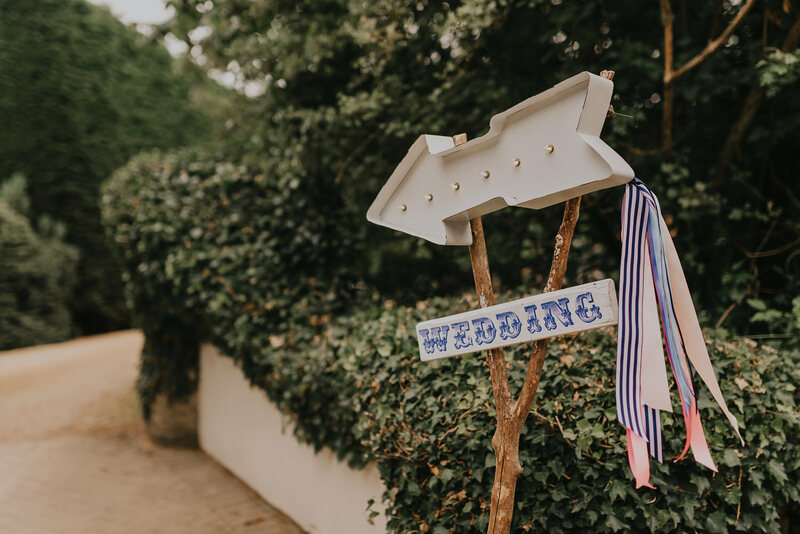 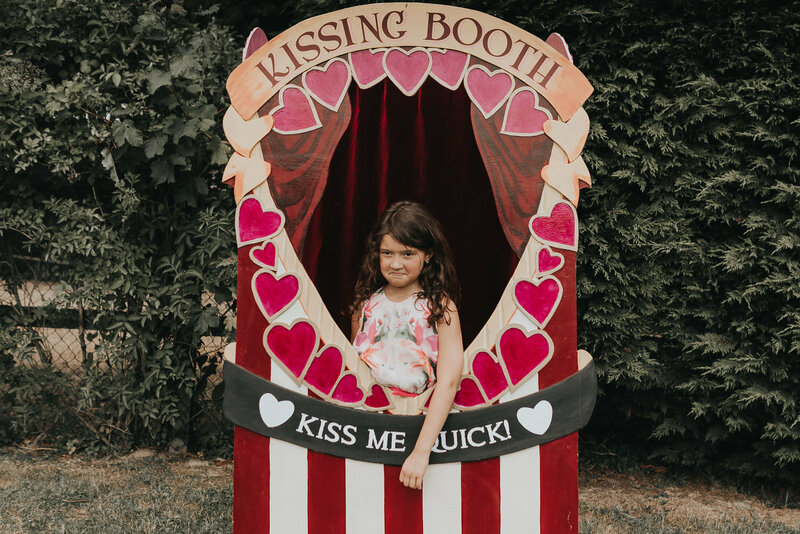 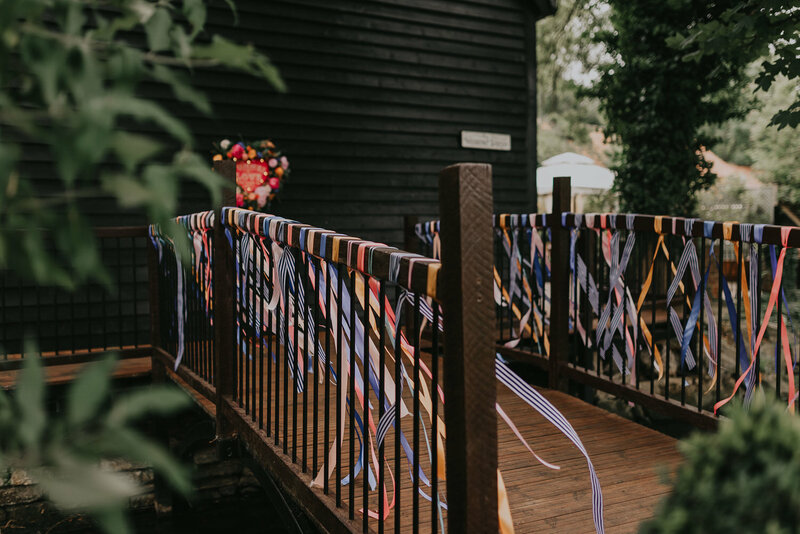 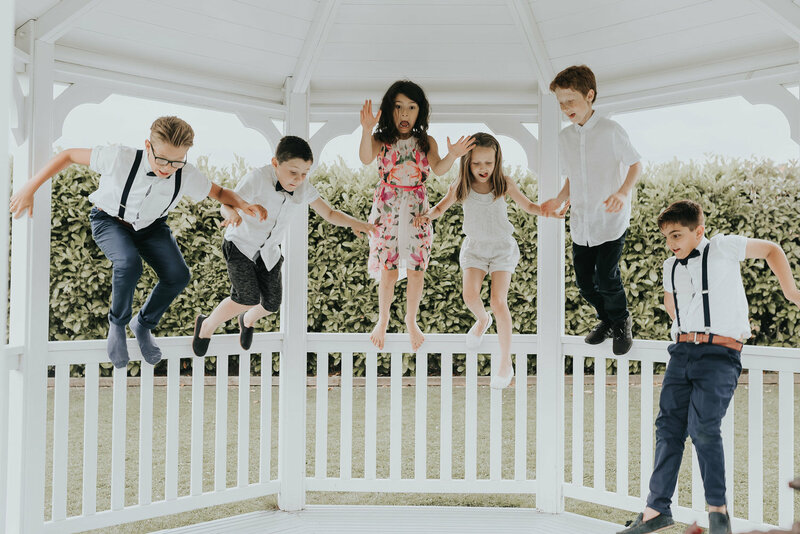 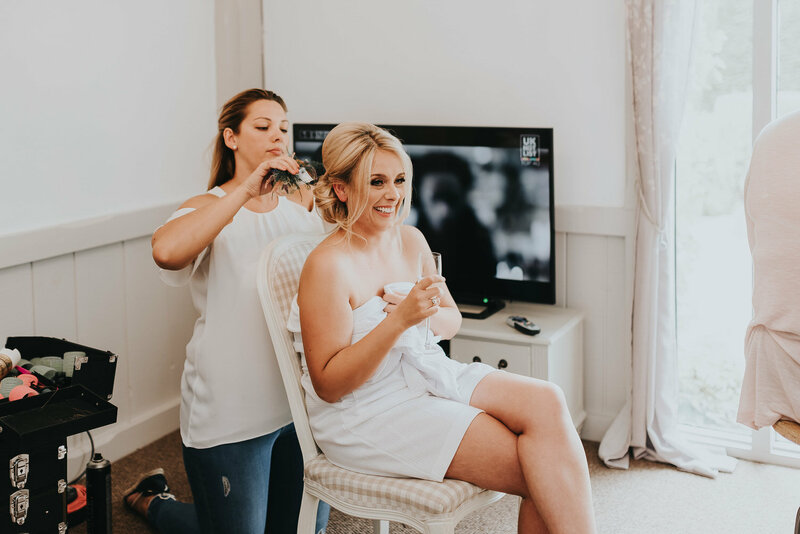 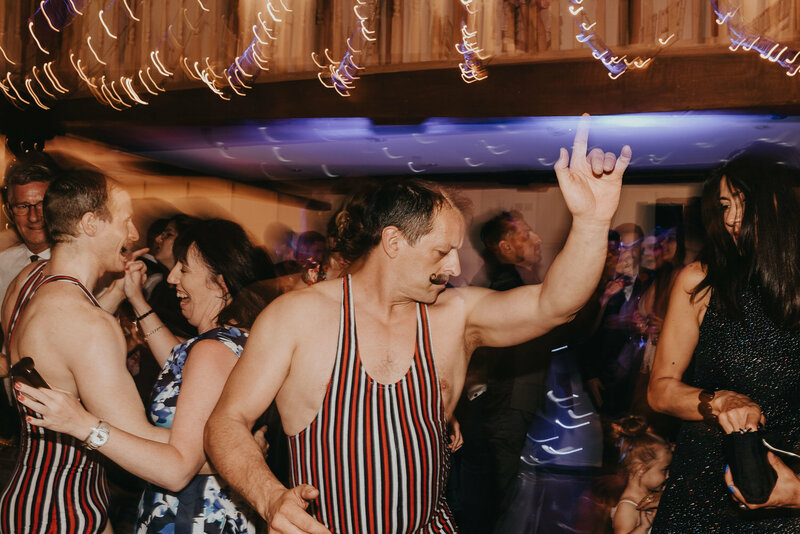 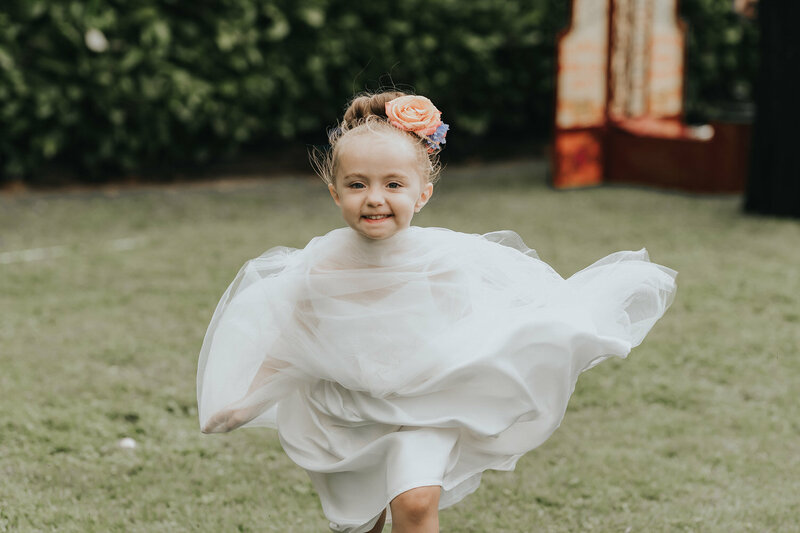 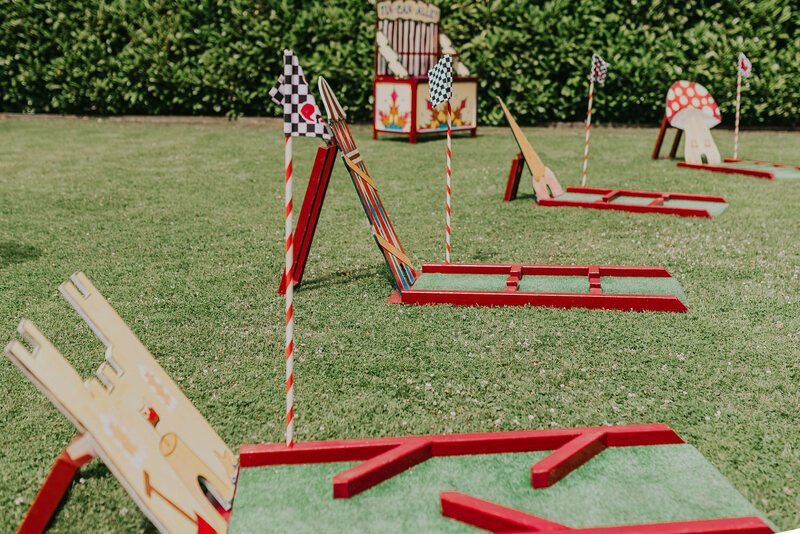 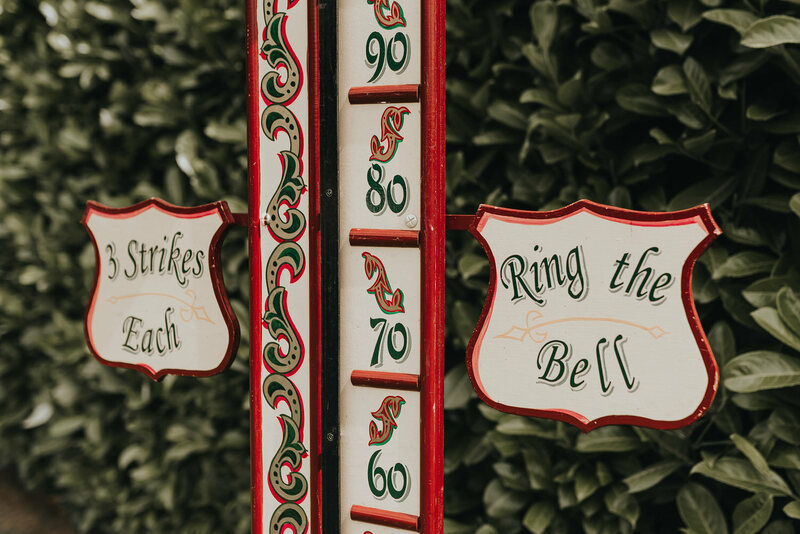 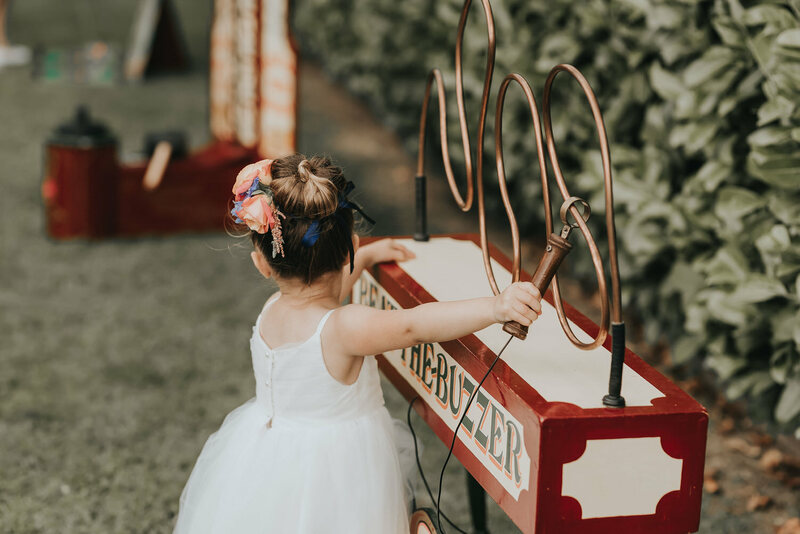 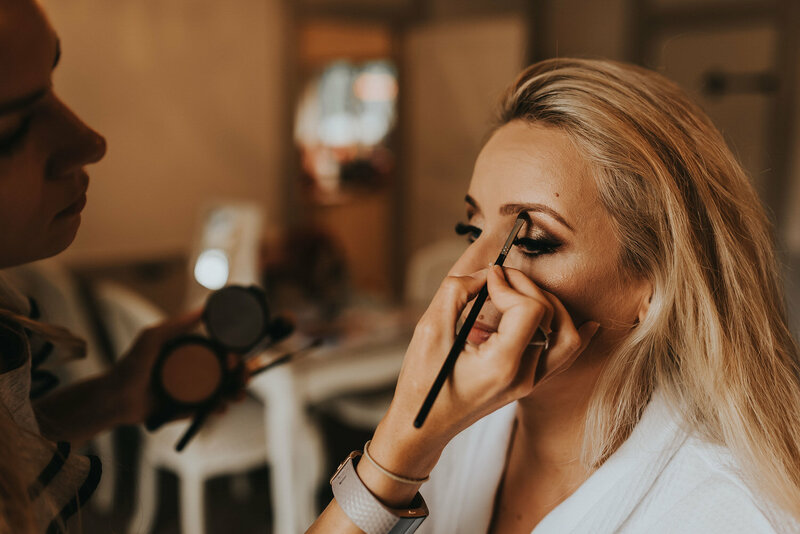 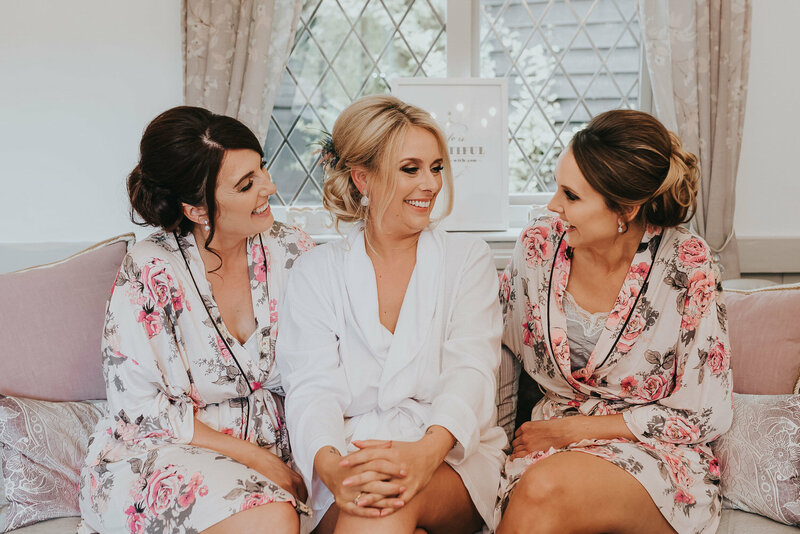 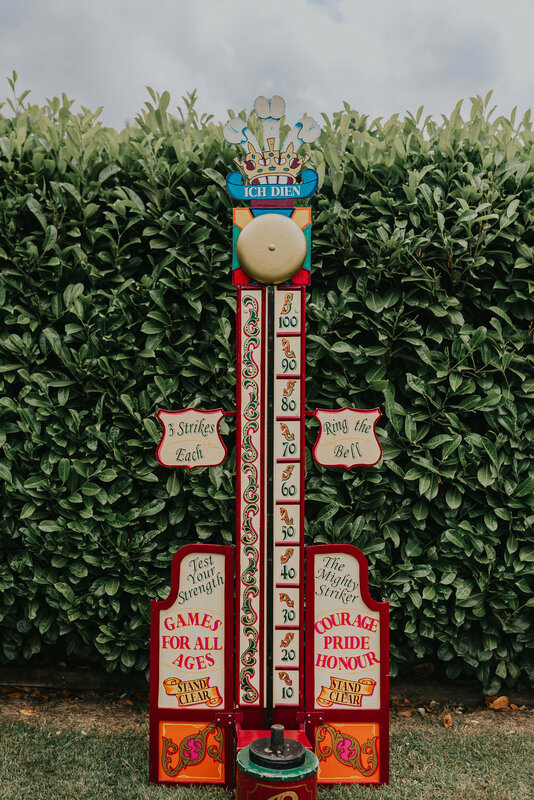 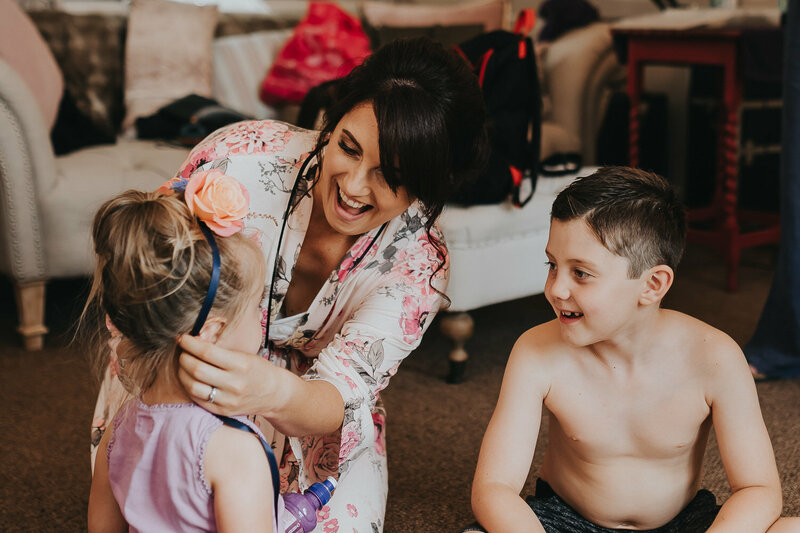 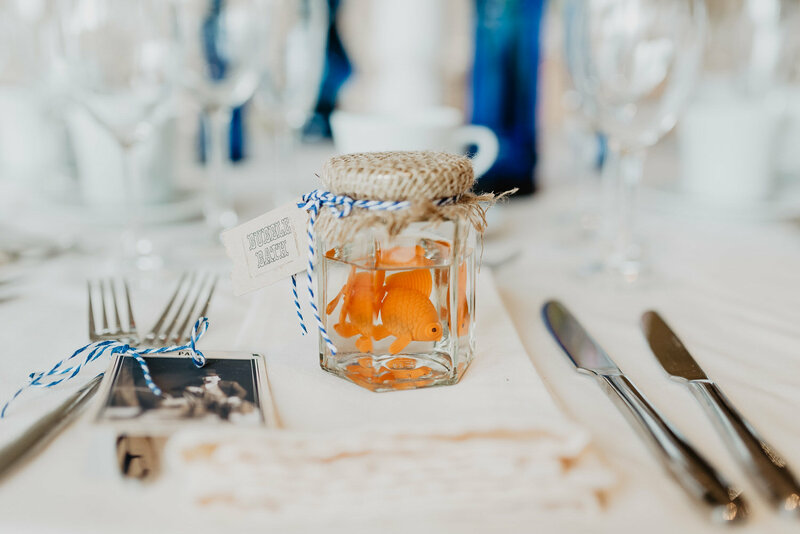 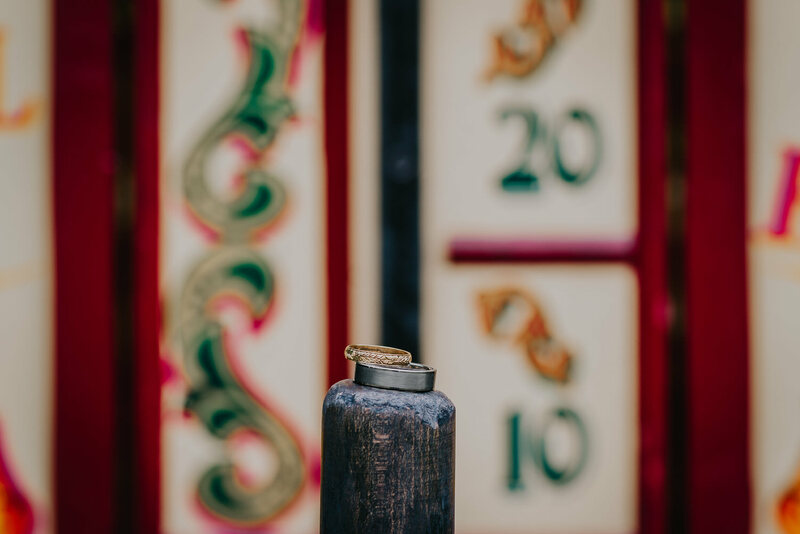 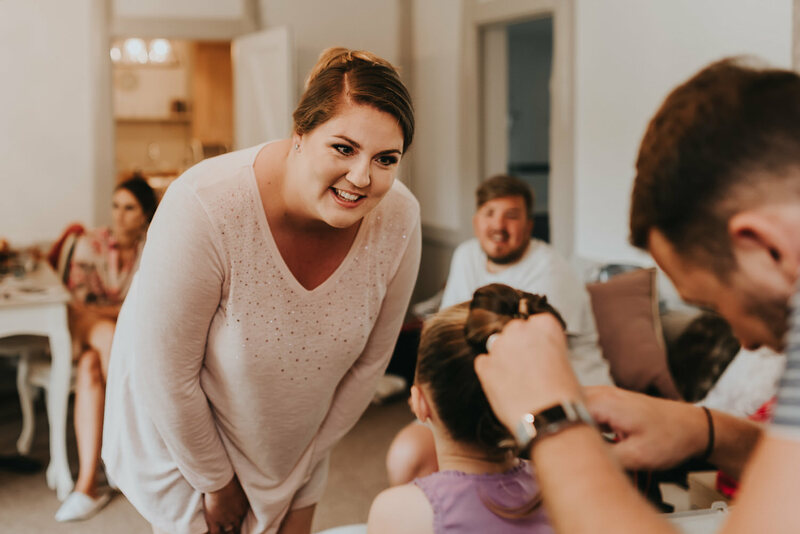 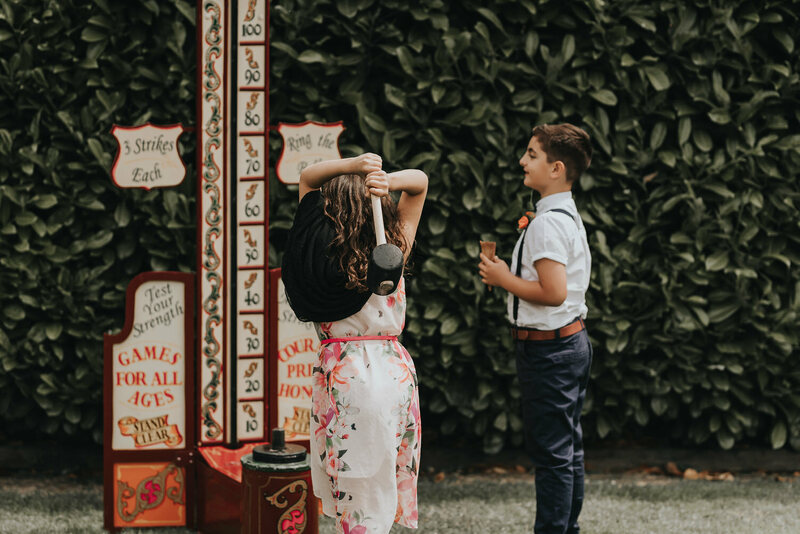 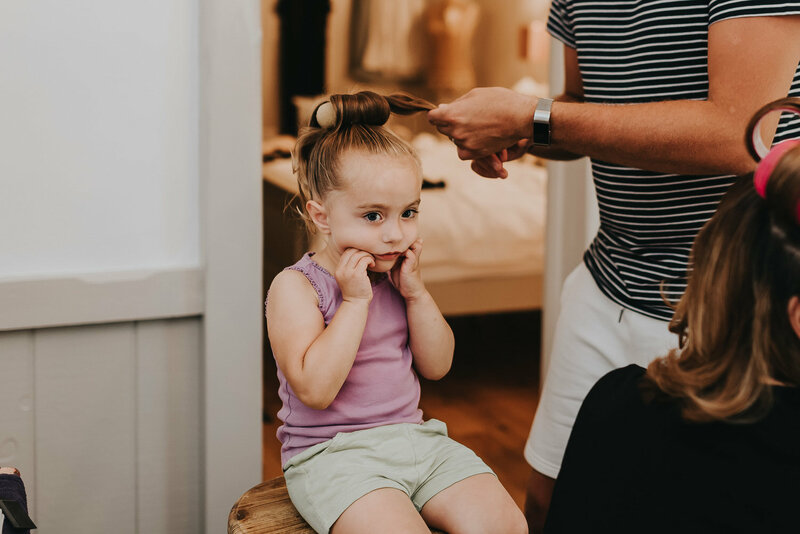 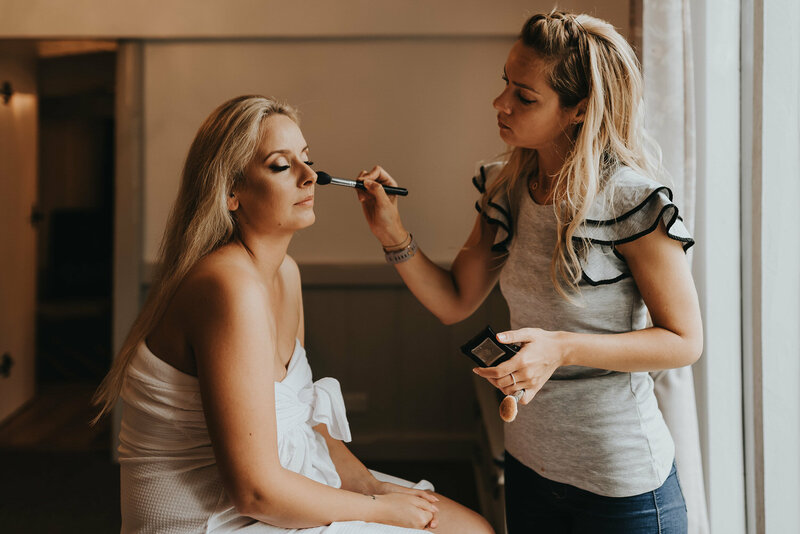 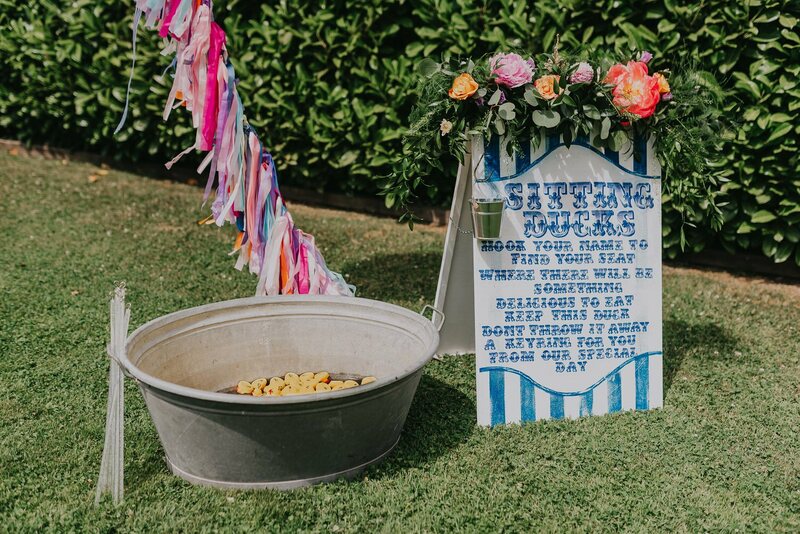 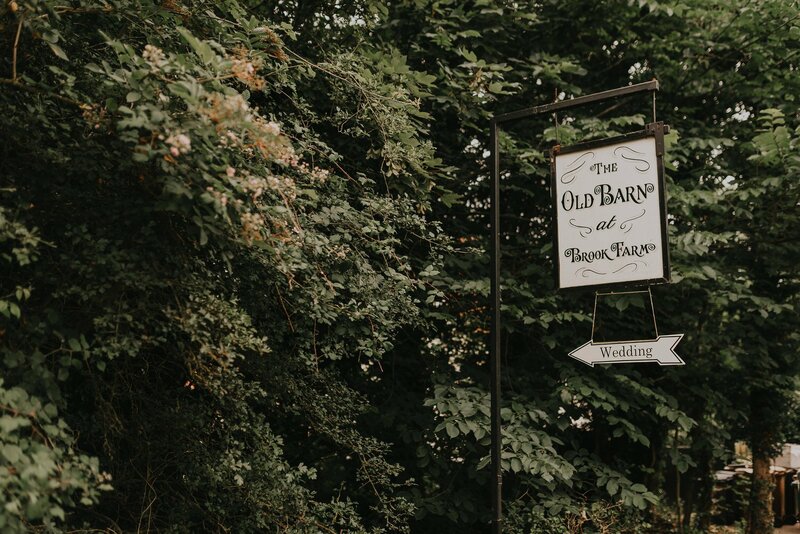 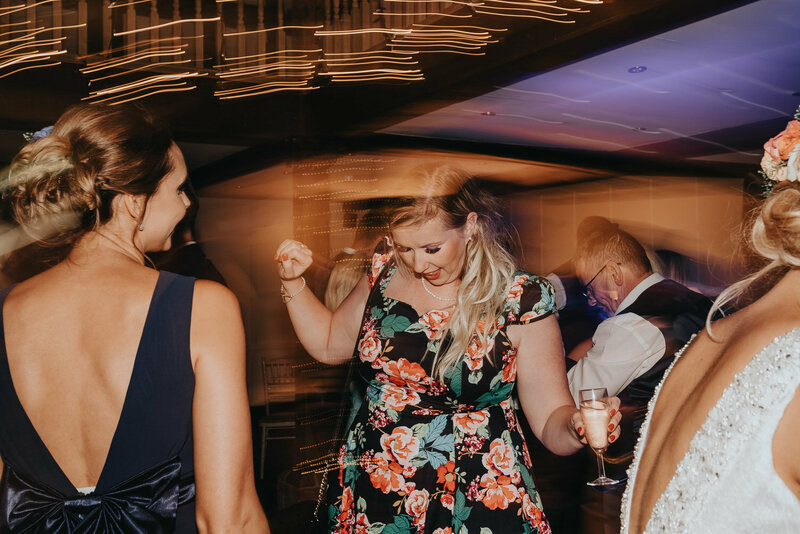 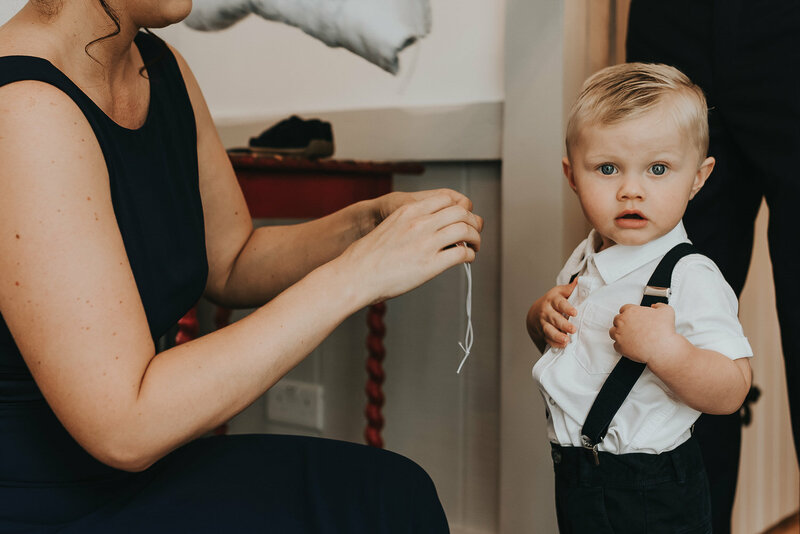 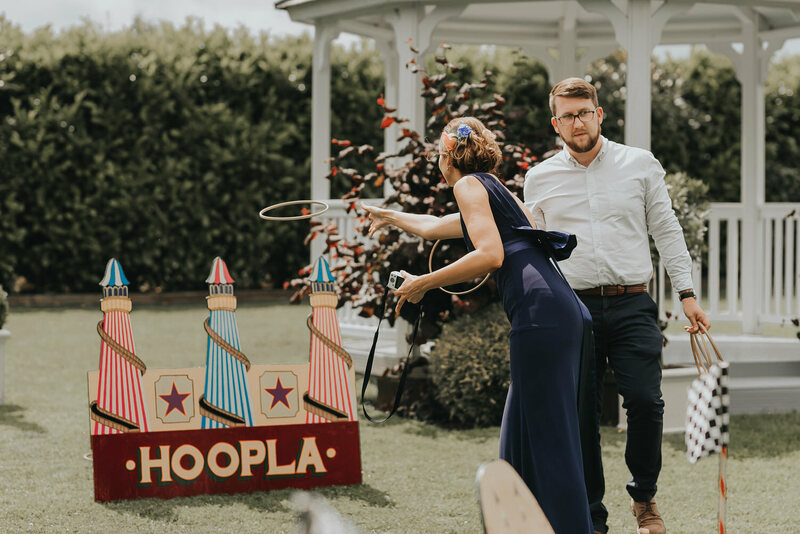 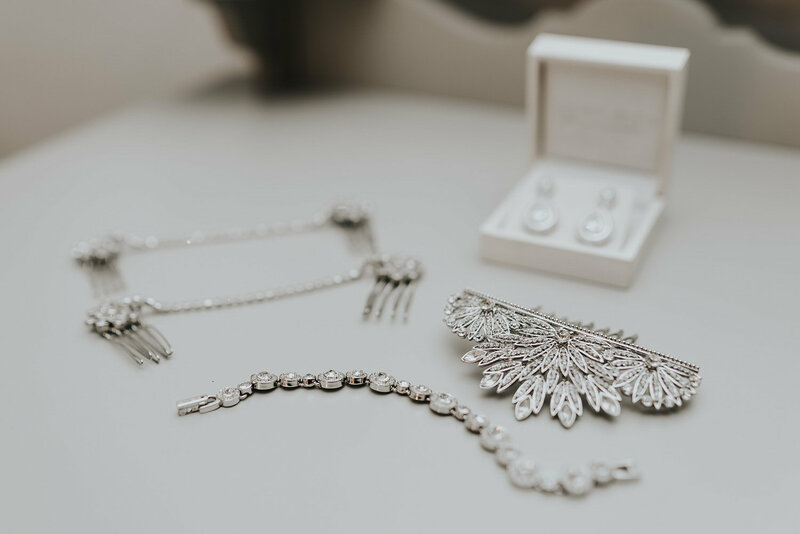 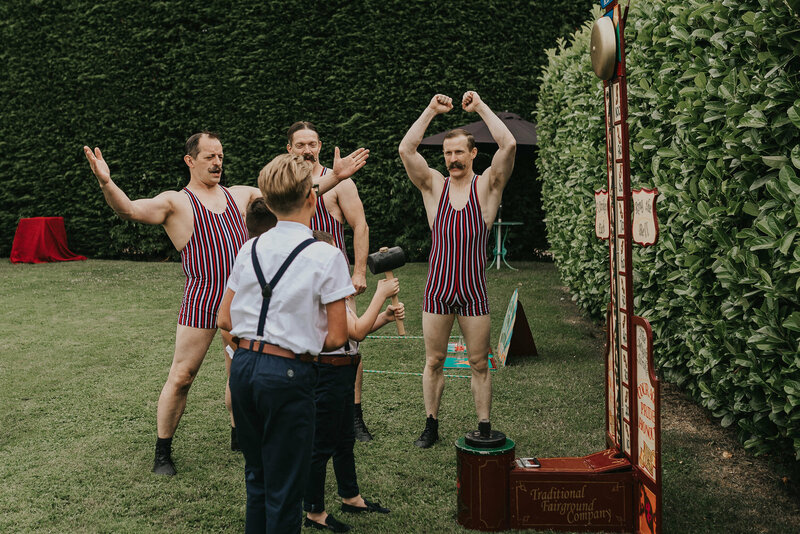 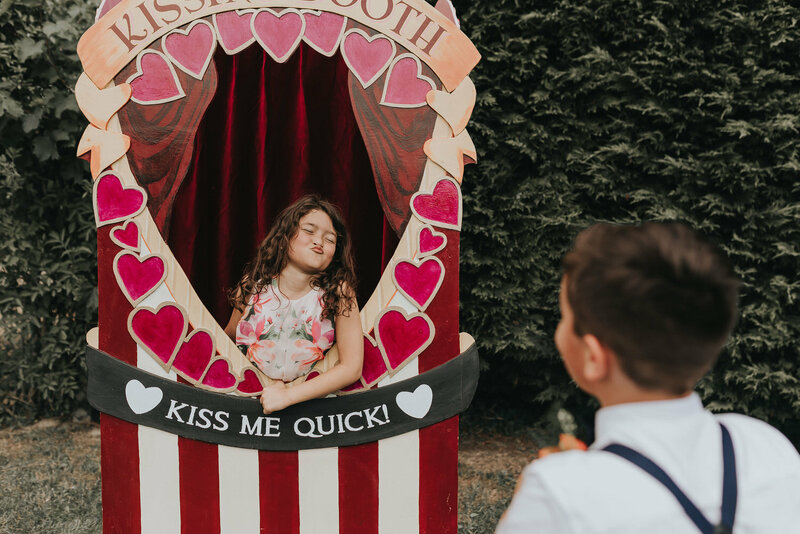 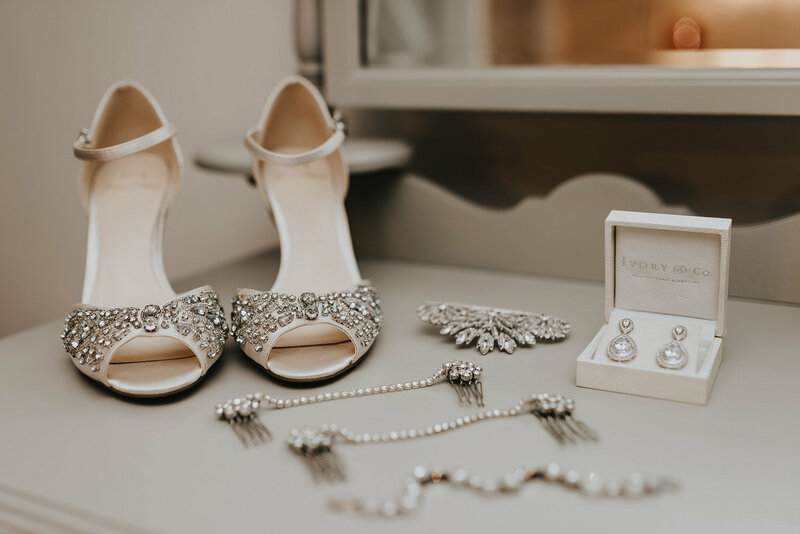 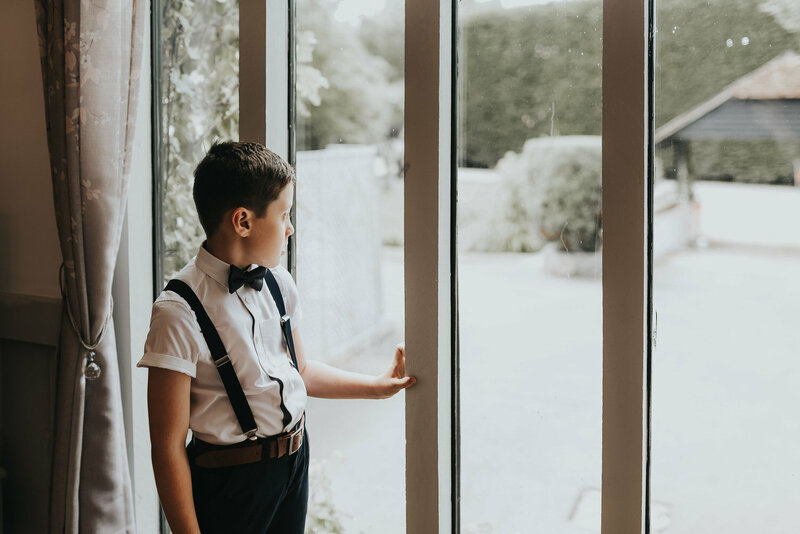 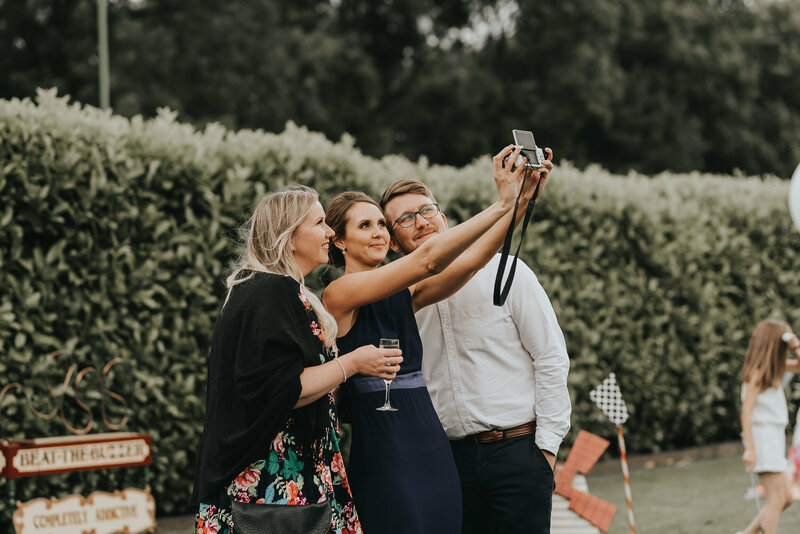 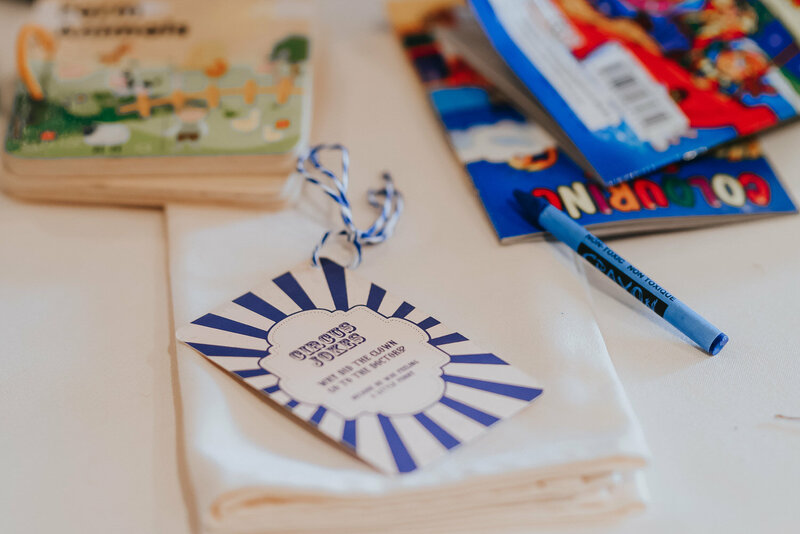 The alternative funfair wedding of Jade + Chris was so wonderfully done and the best part of all was that Jade made pretty much everything herself, which is insane when you see the photos of what was there! 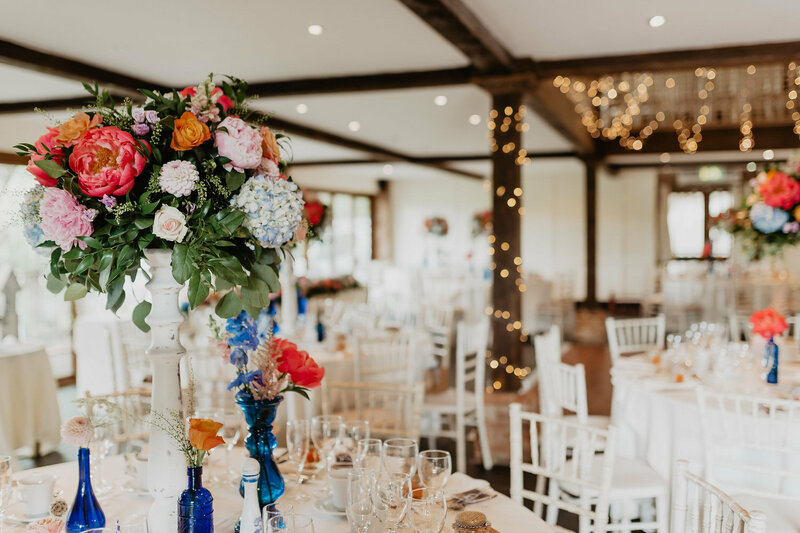 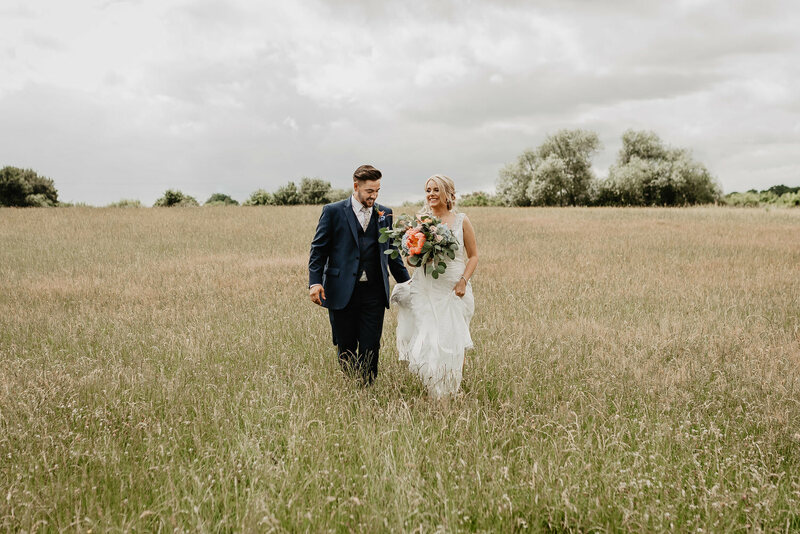 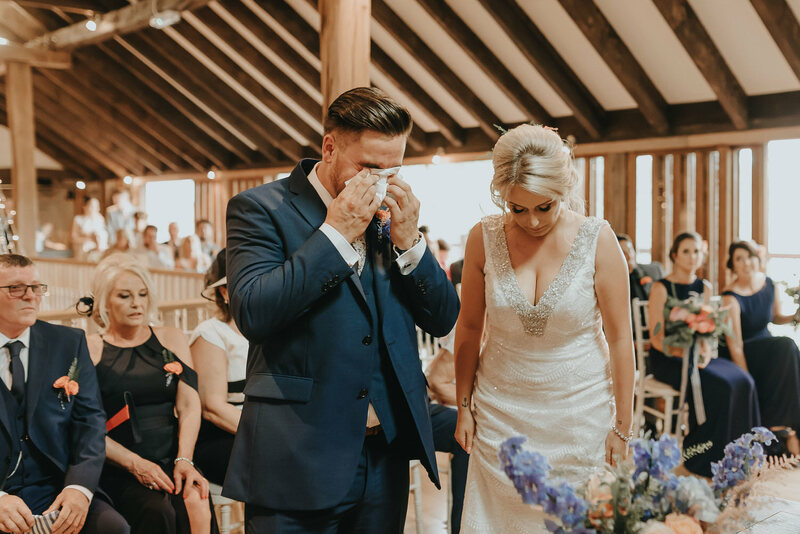 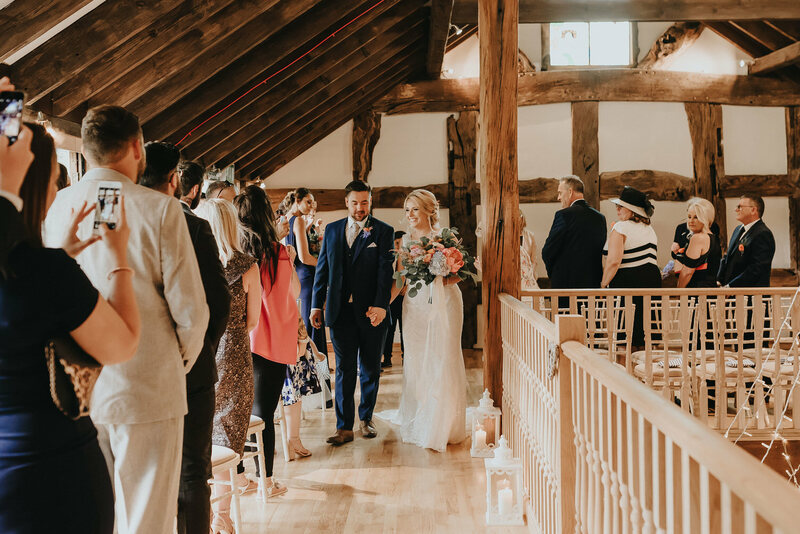 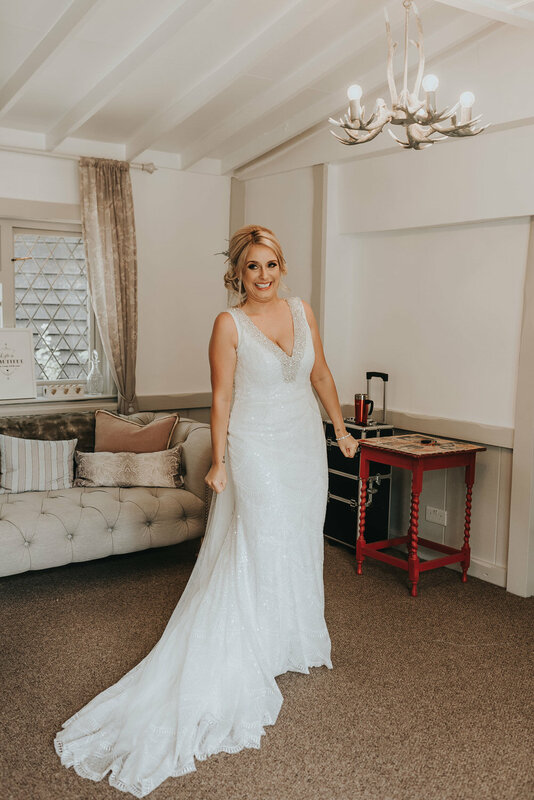 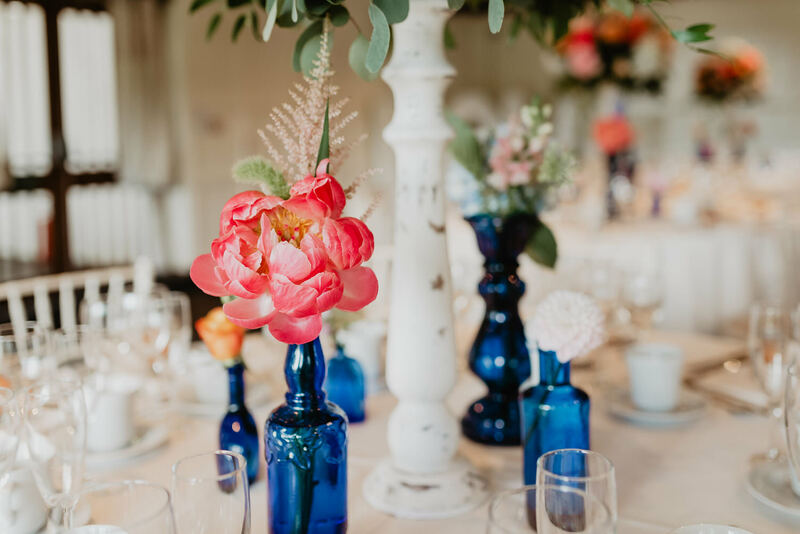 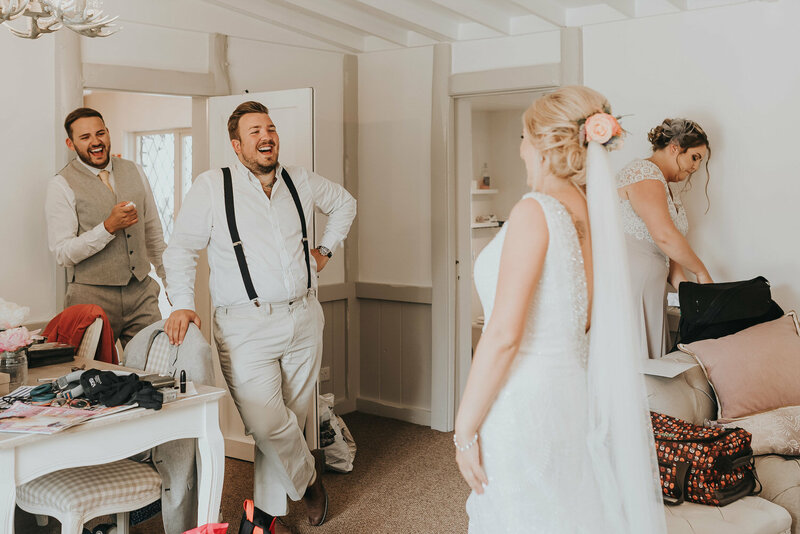 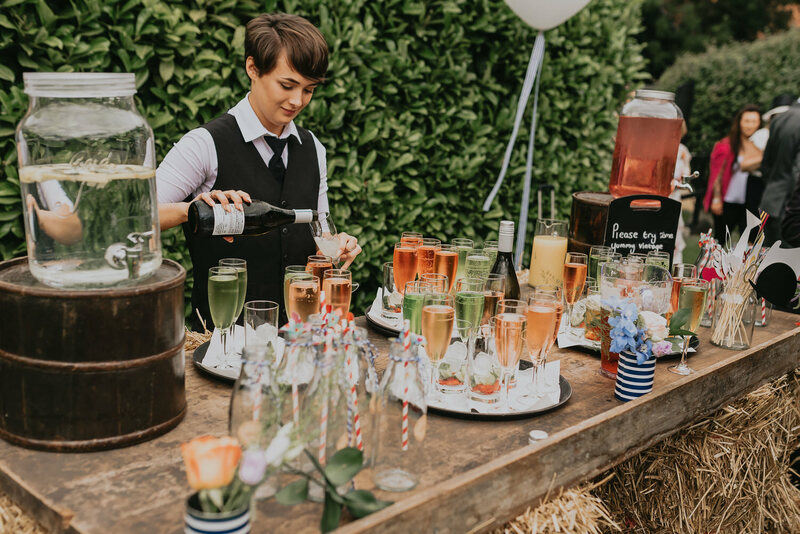 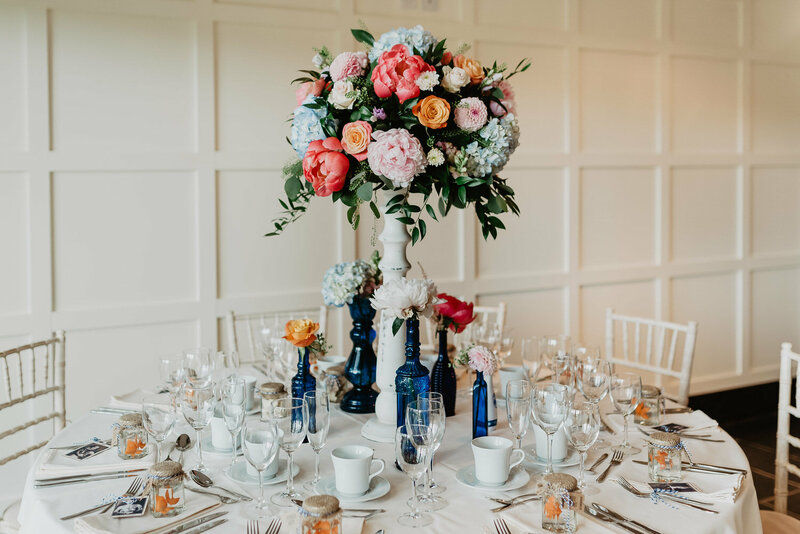 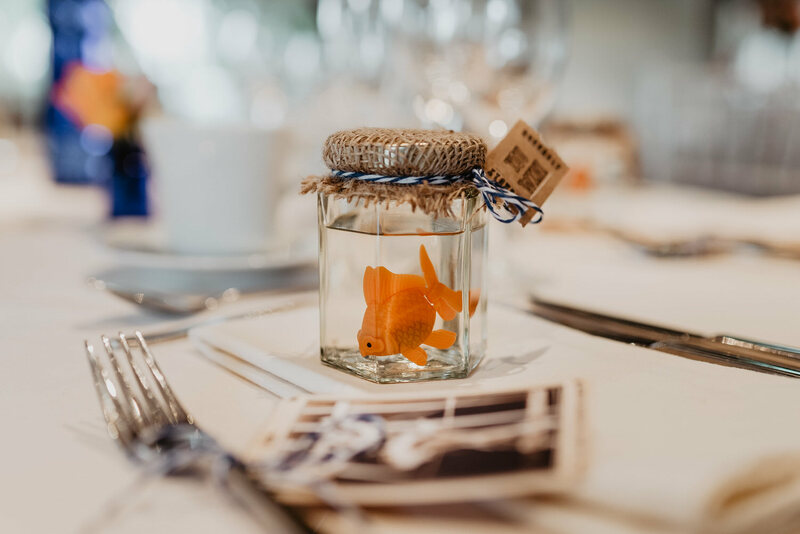 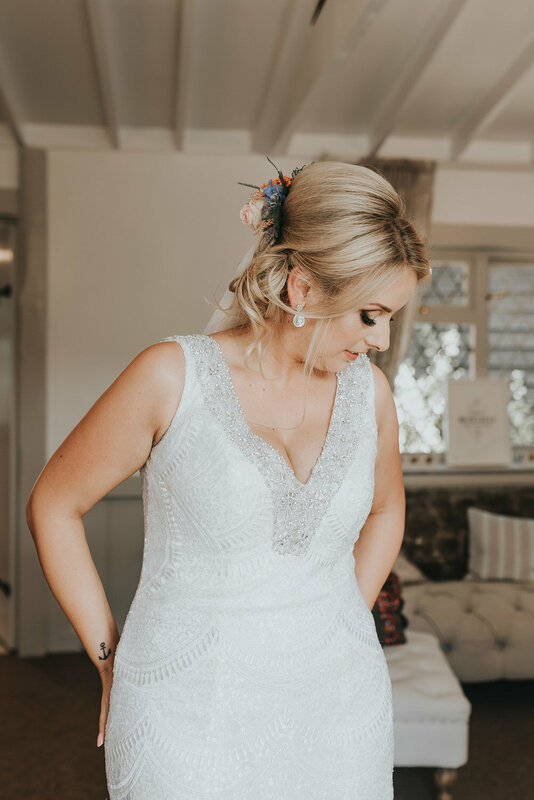 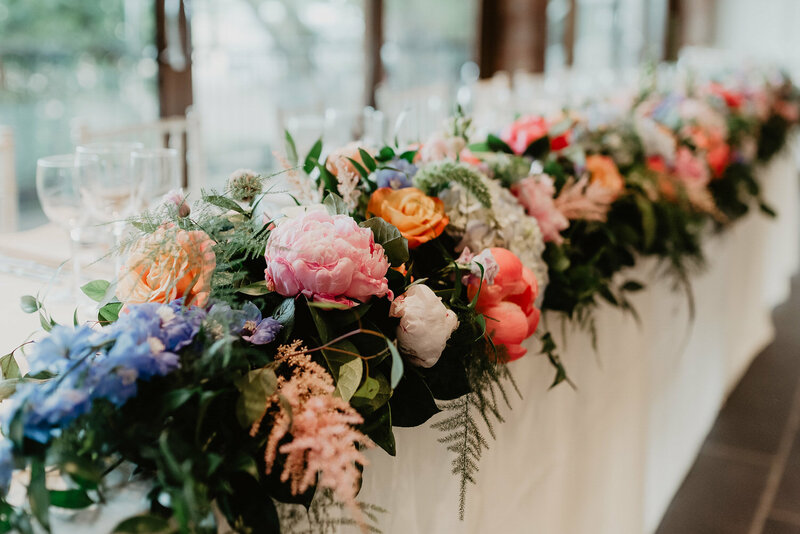 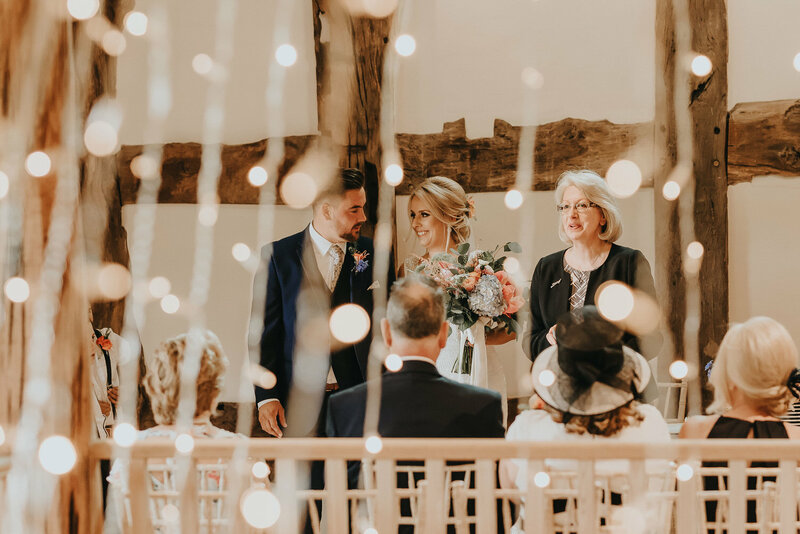 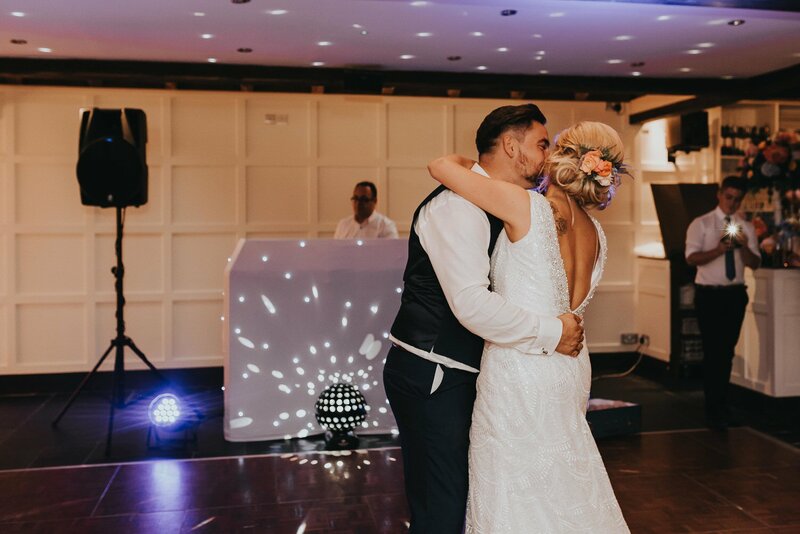 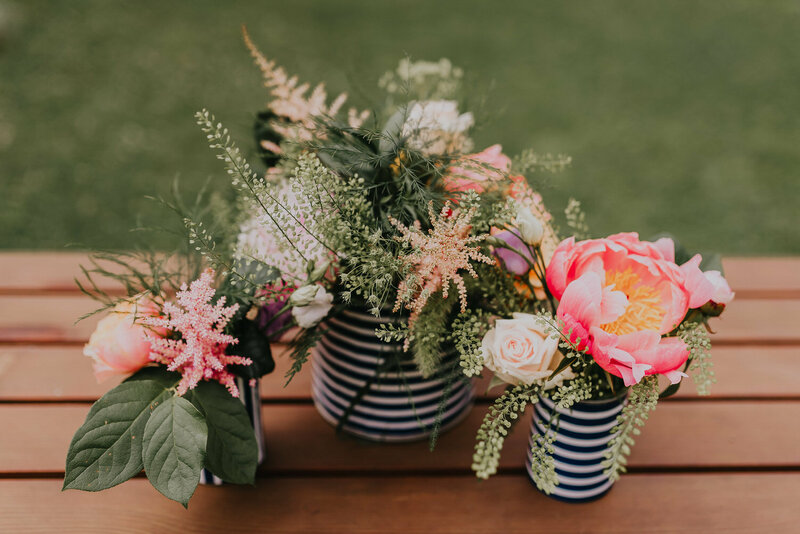 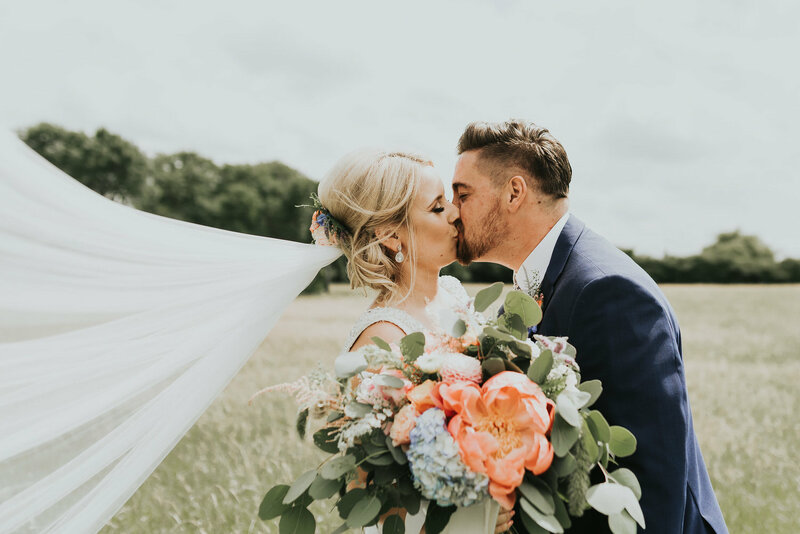 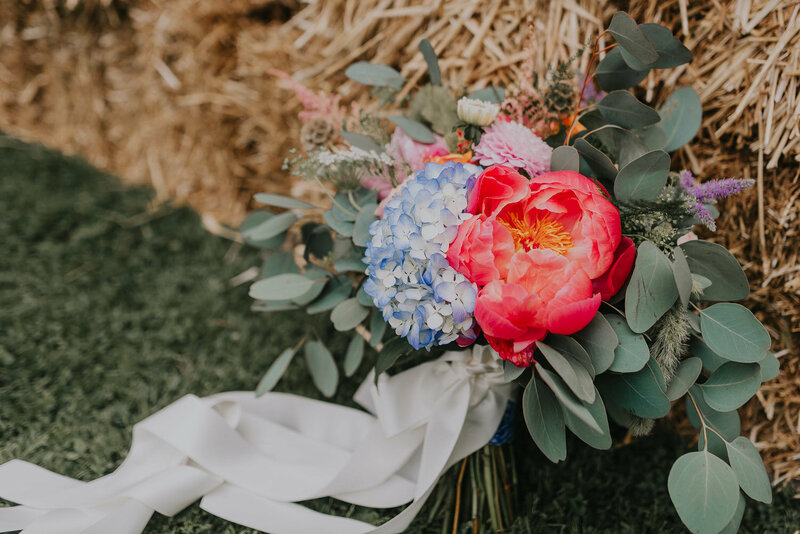 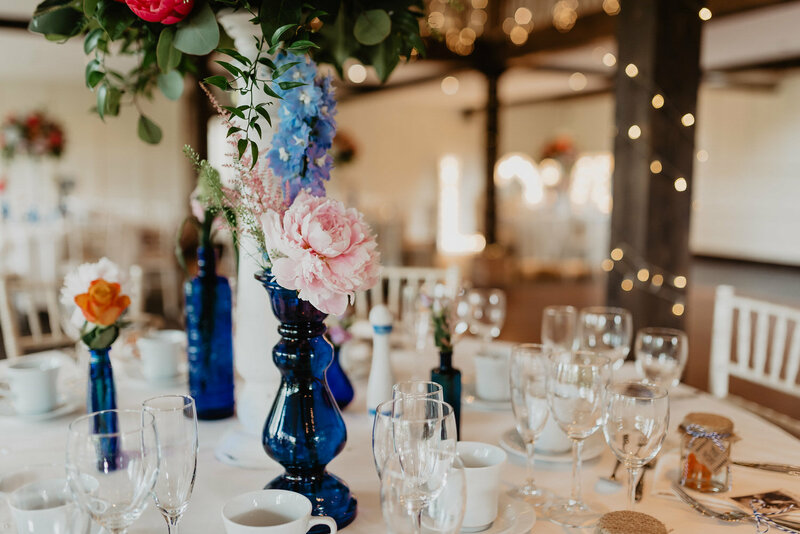 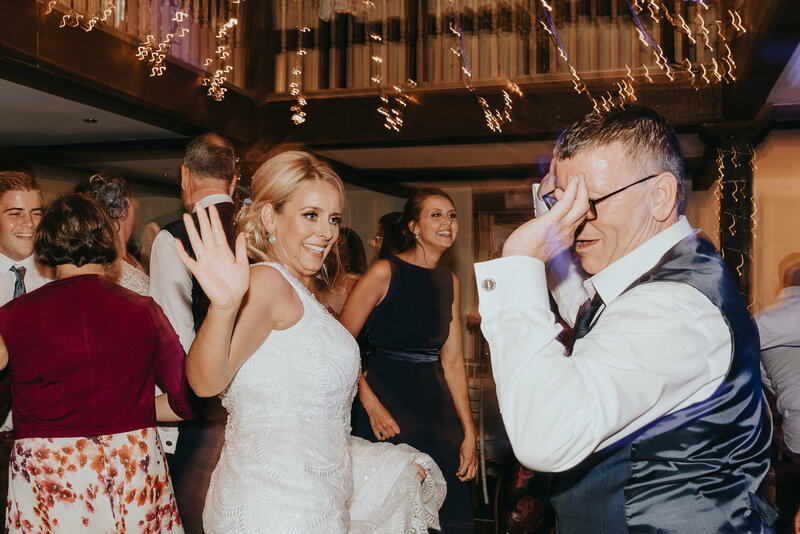 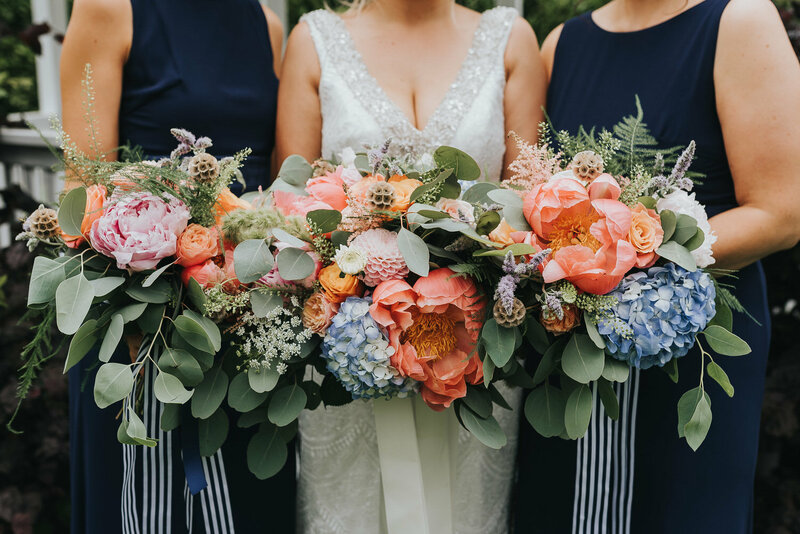 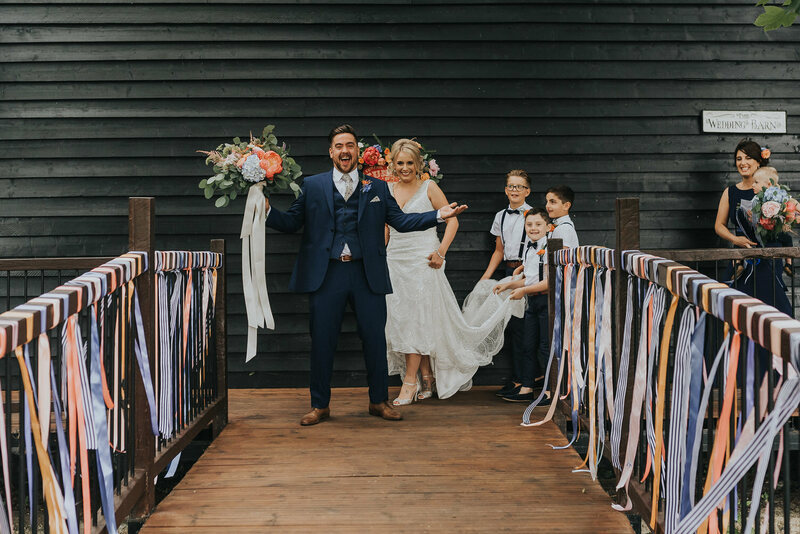 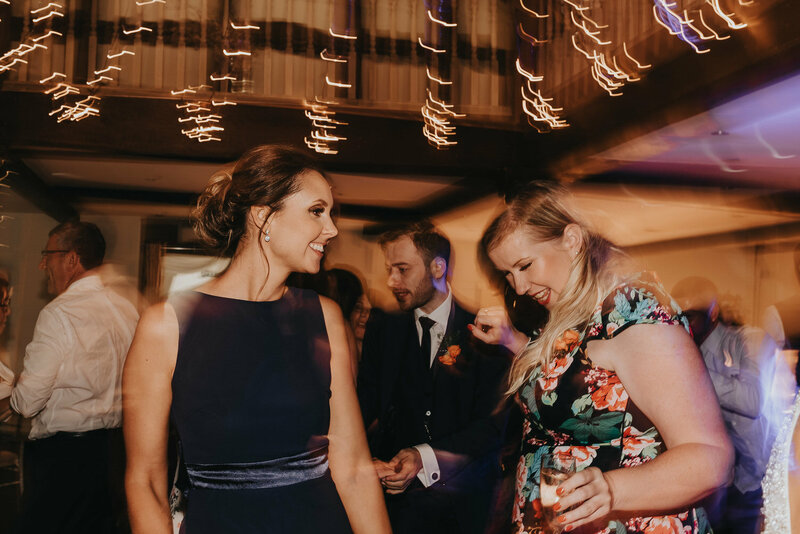 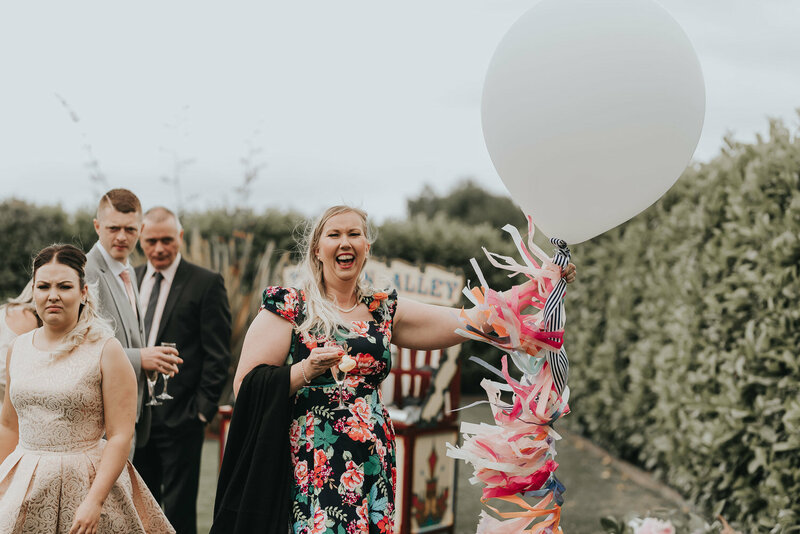 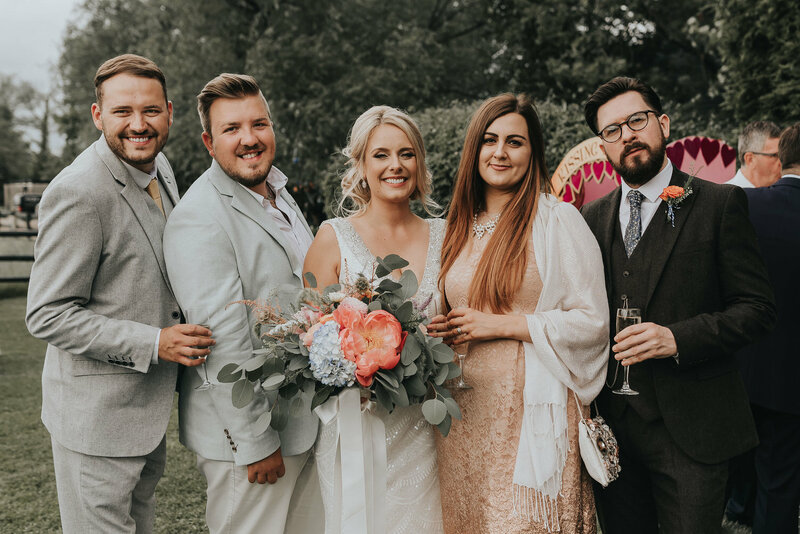 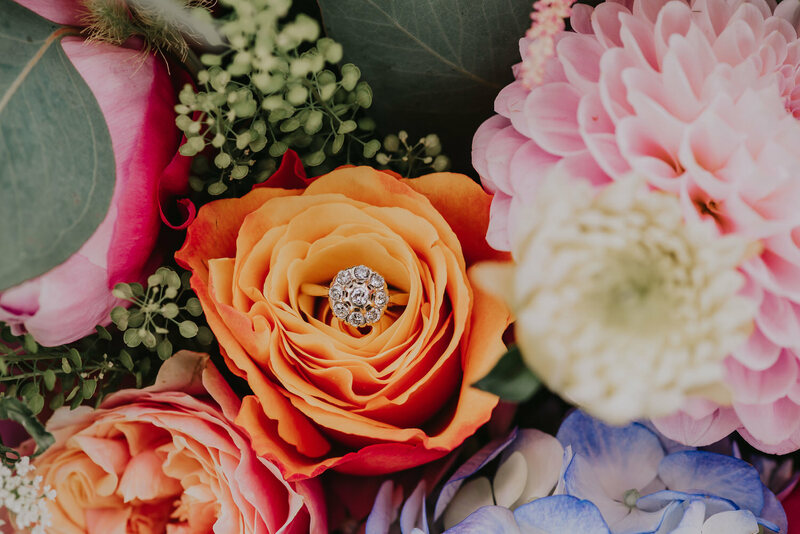 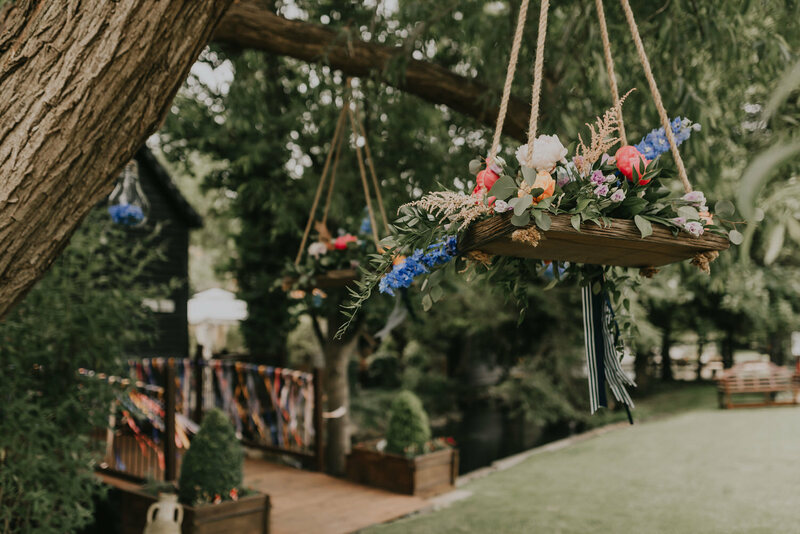 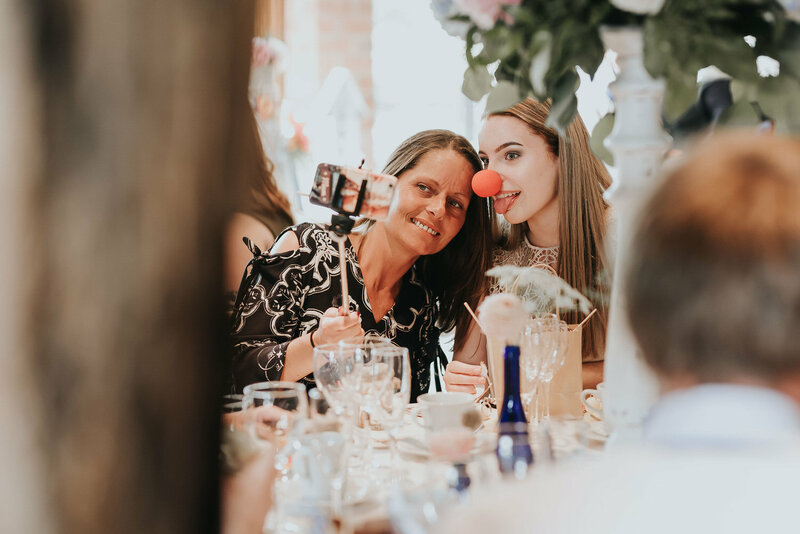 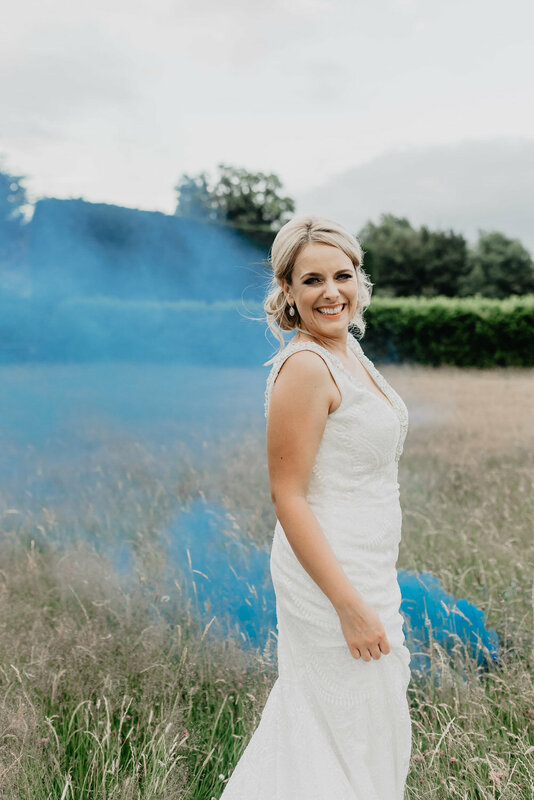 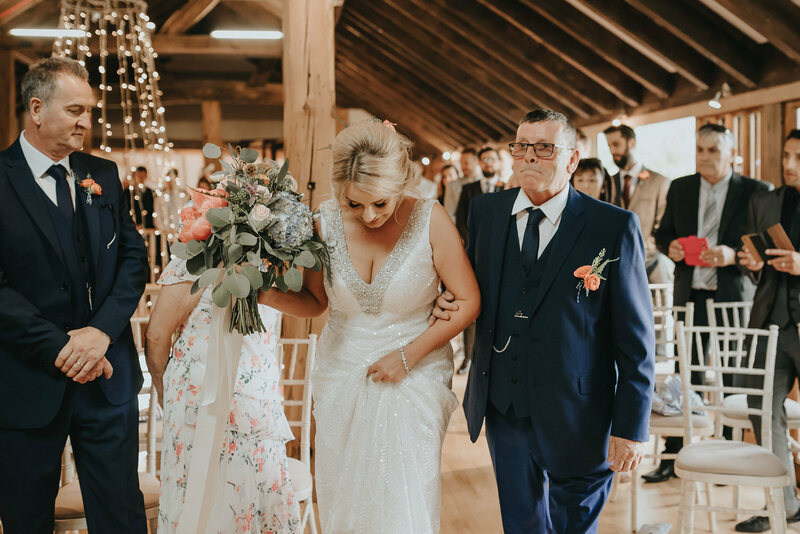 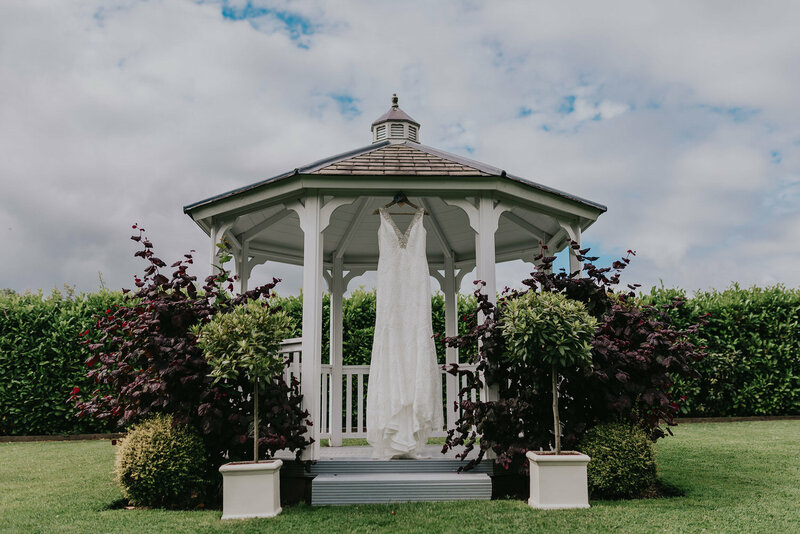 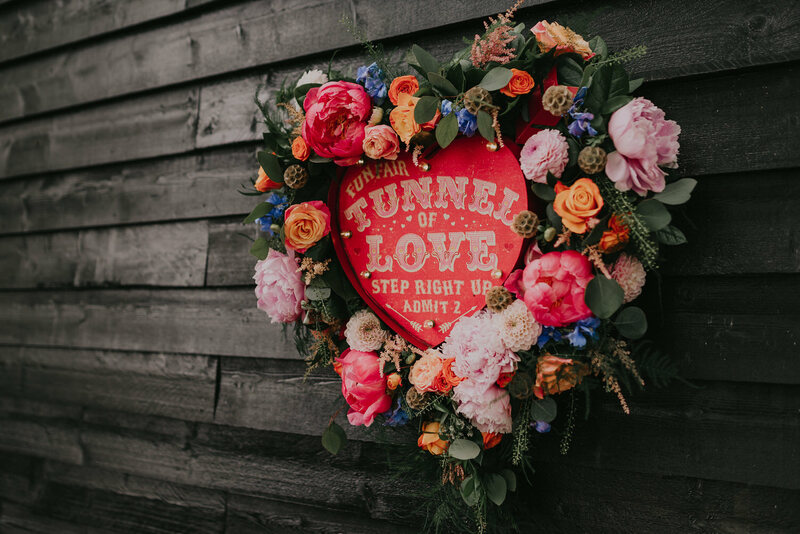 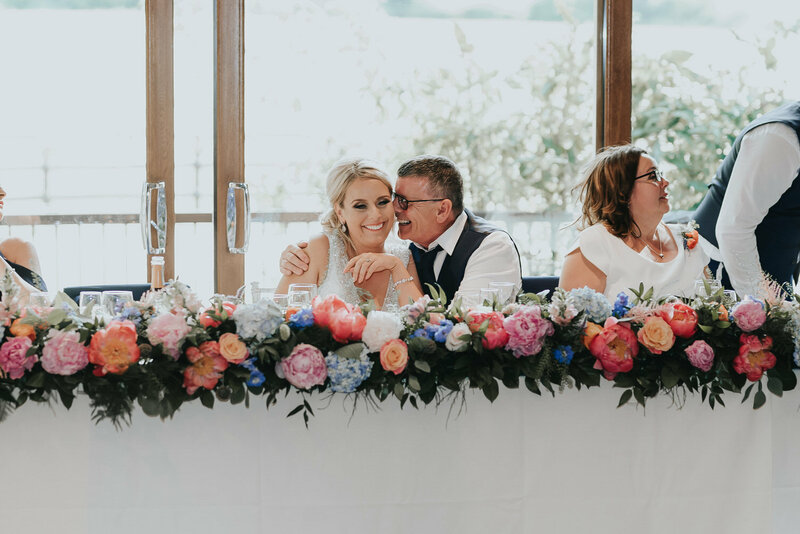 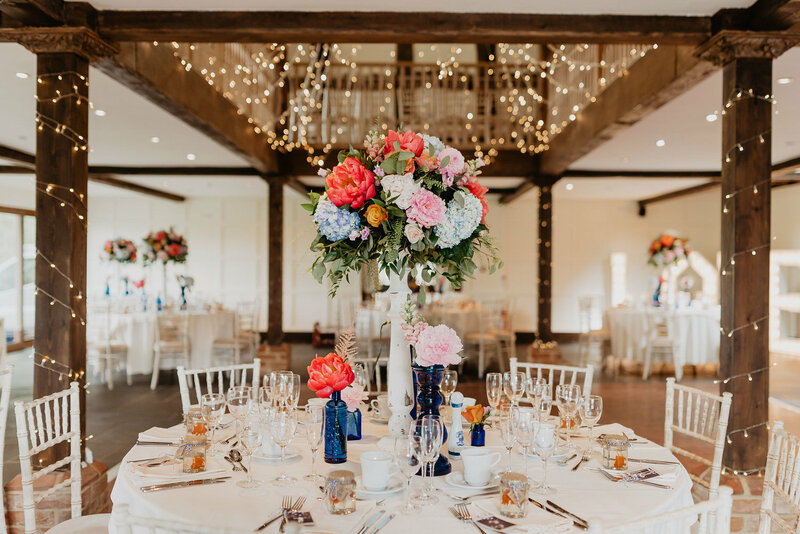 She’s a super talented florist (Eden Floral Design) and put together her dream flower arrangements which were full of colour and personality, perfect for the alternative funfair wedding theme – a mixture of peonies, blue hydrangea and Miss Piggy roses. 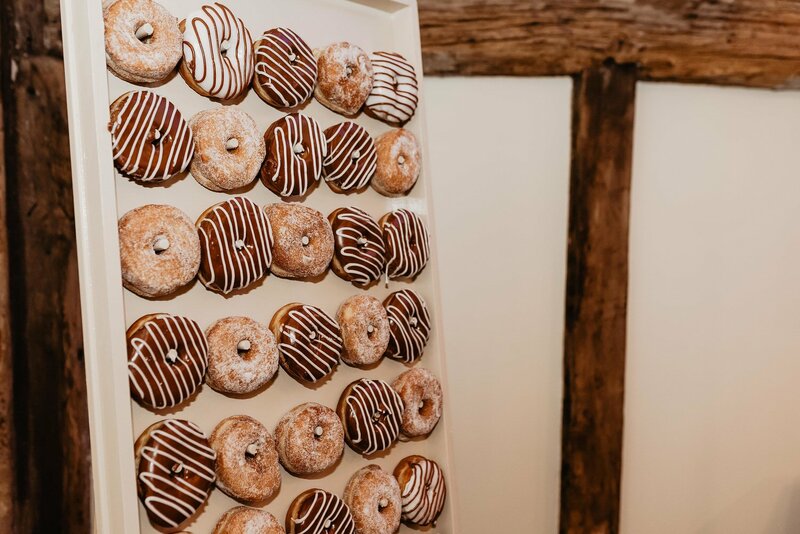 Jade’s dad made a huge doughnut wall that was stocked with the yummiest freshly bakes glazed doughnuts from their local bakery. 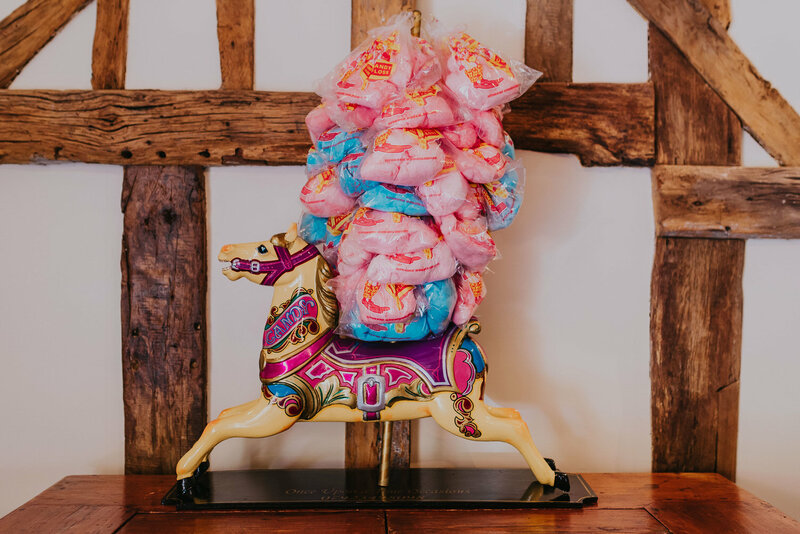 As if that wasn’t ‘wow’ enough, to give the illusion of a real funfair Jade had a carousel horse made for her to hang candyfloss bags from. 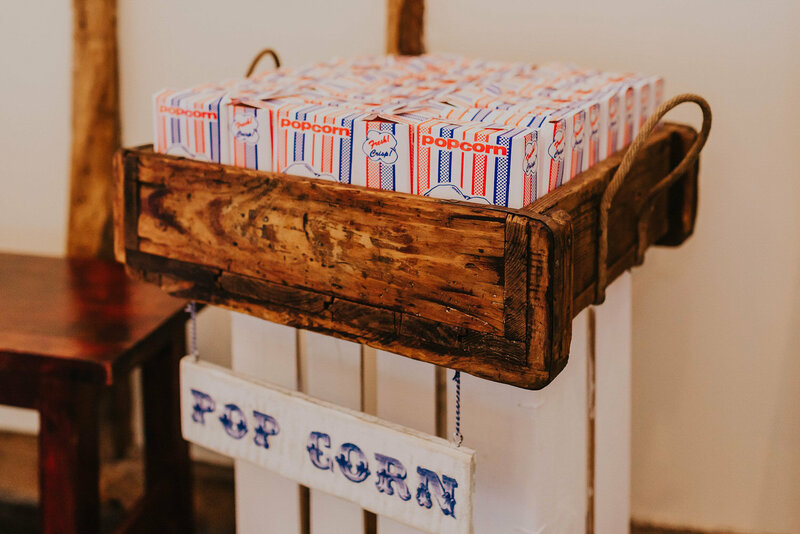 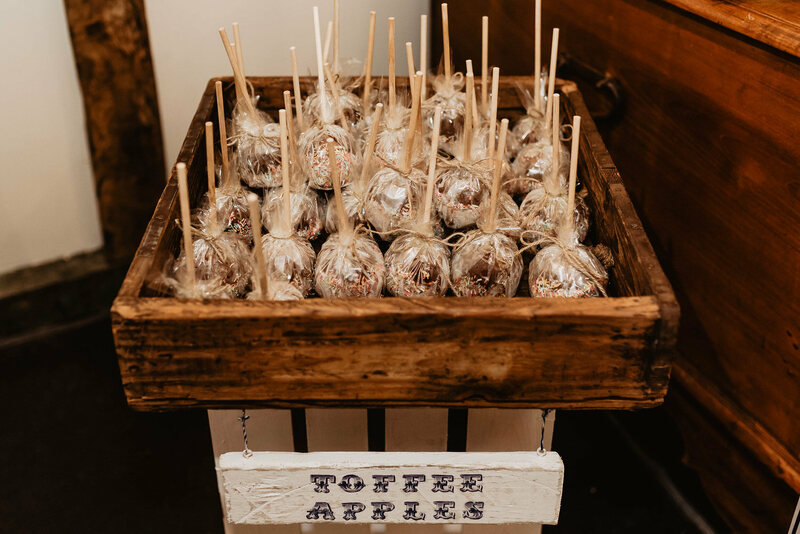 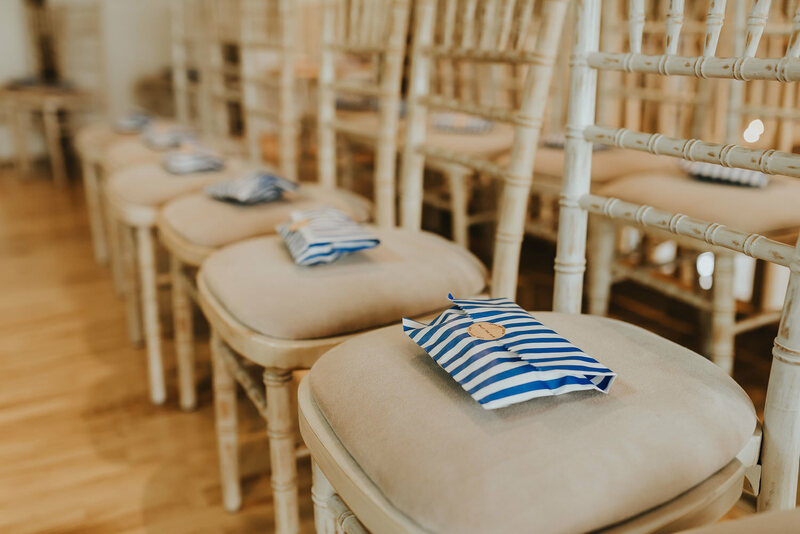 Add to this the cutest boxes of popcorn and chocolate apples and I’d say they pretty much nailed the alternative funfair wedding theme. 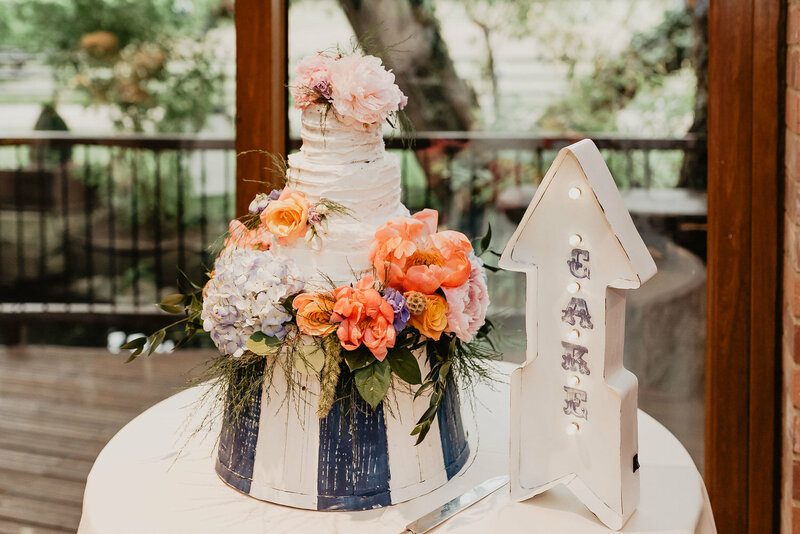 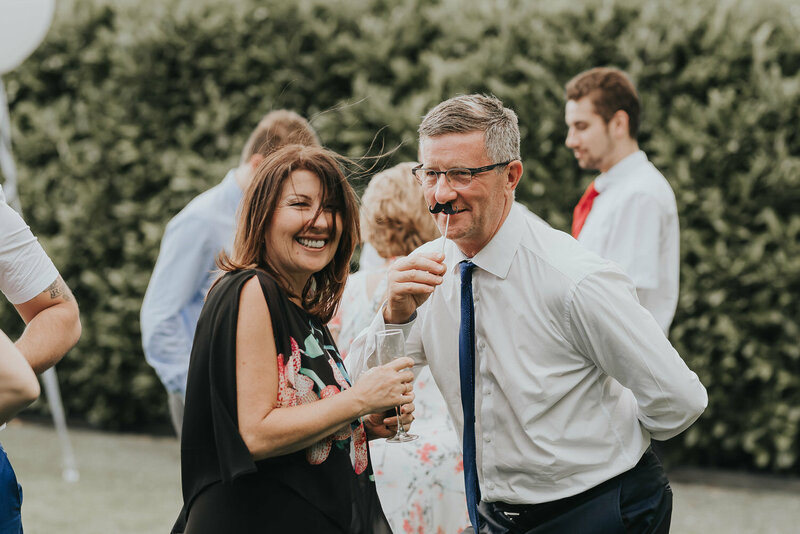 Their beautiful wedding cake which sat on a miniature circus elephant stand was actually 4 tiers before Chris’ mum set off in the morning… unfortunately the top tier didn’t last the journey! 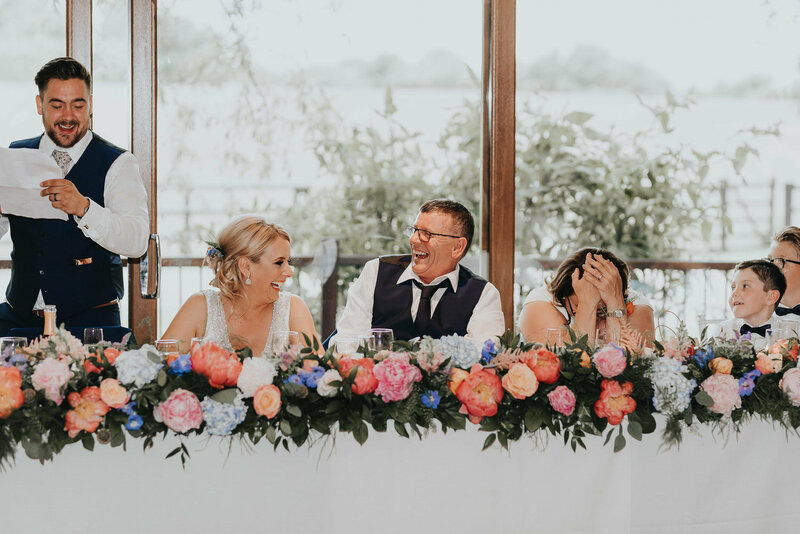 But this just shows how amazing Jade and Chris are, they were totally not phased and in fact found it hilarious! 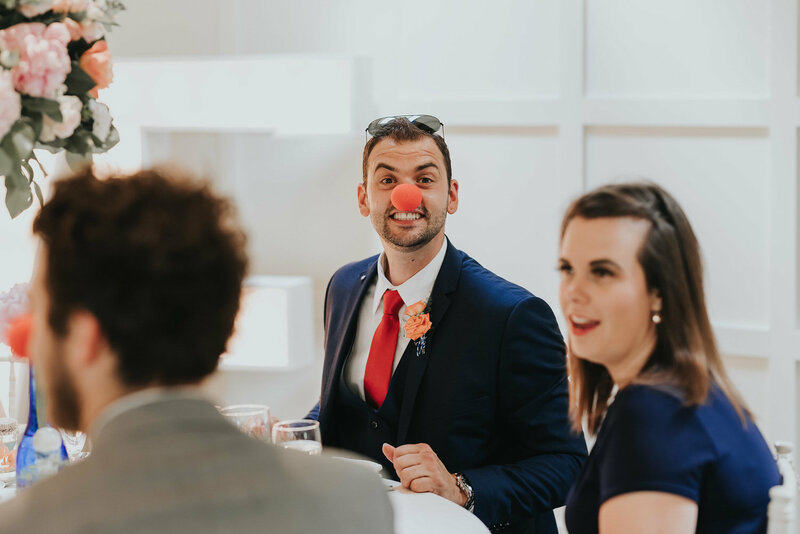 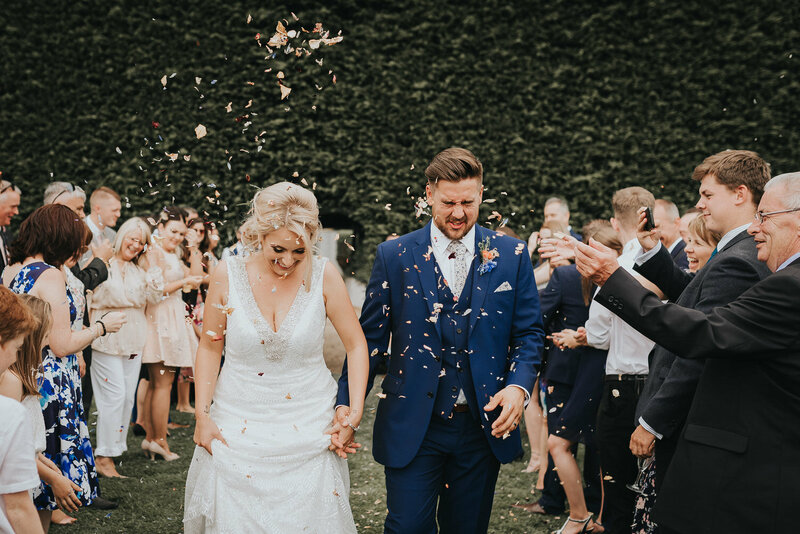 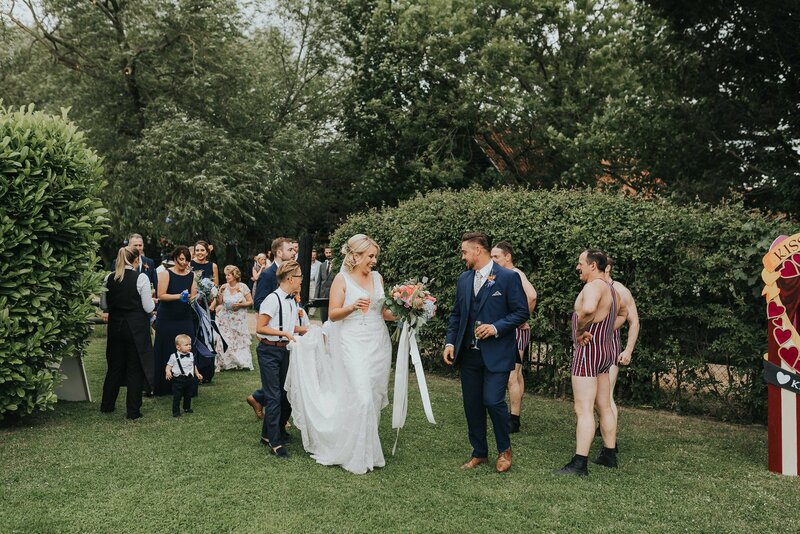 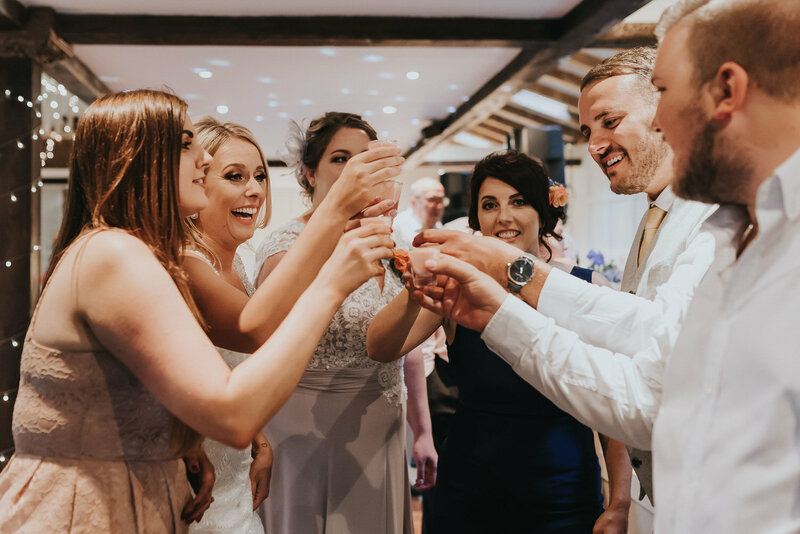 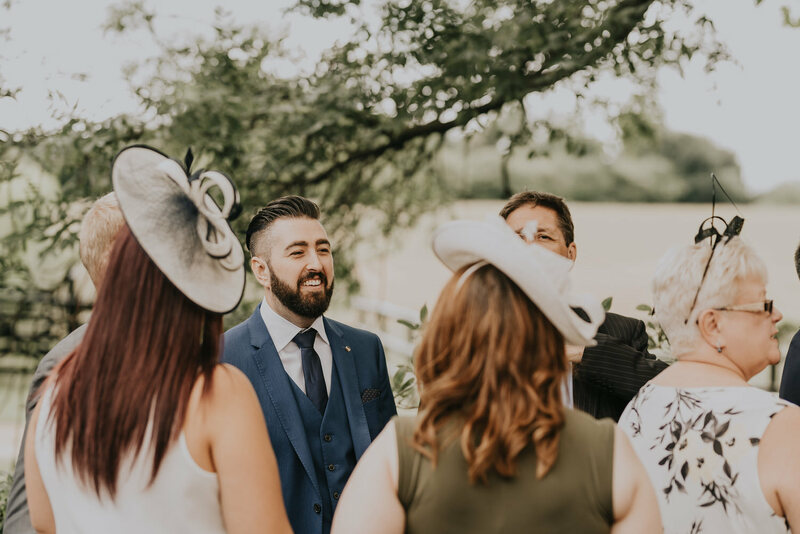 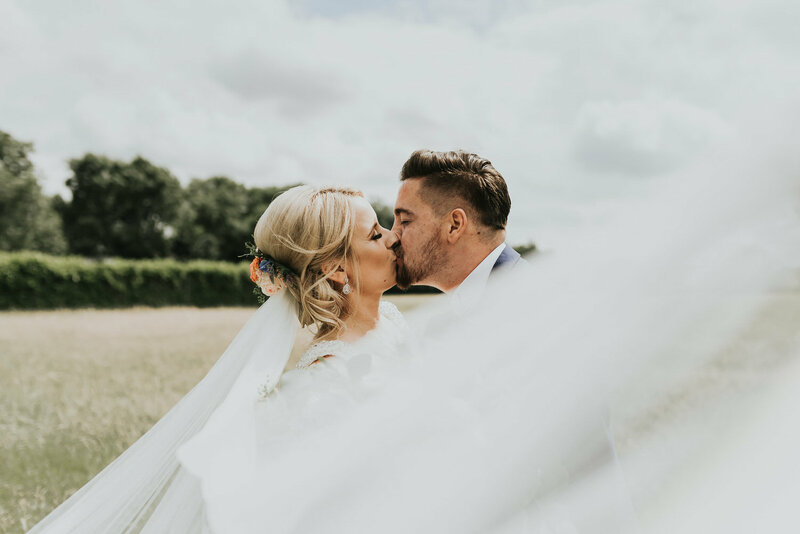 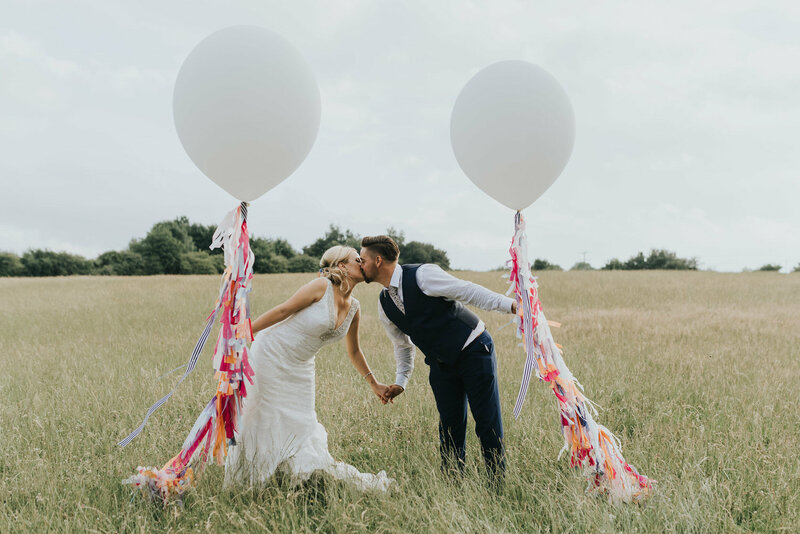 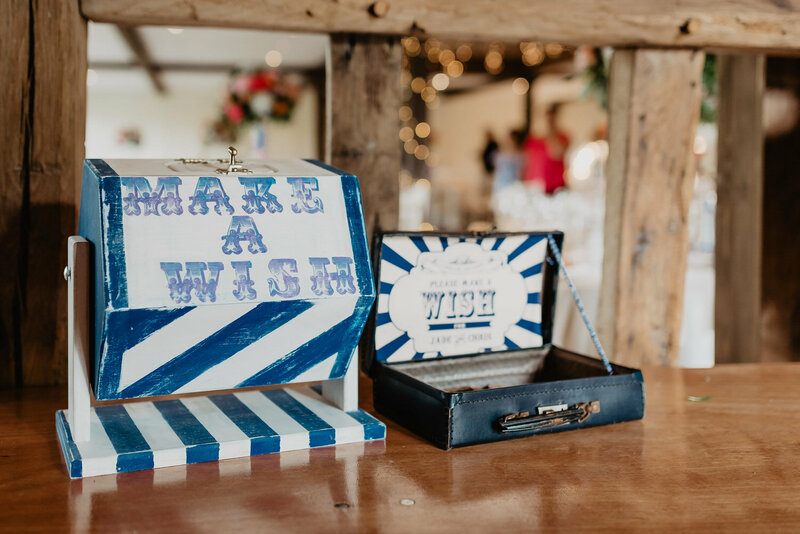 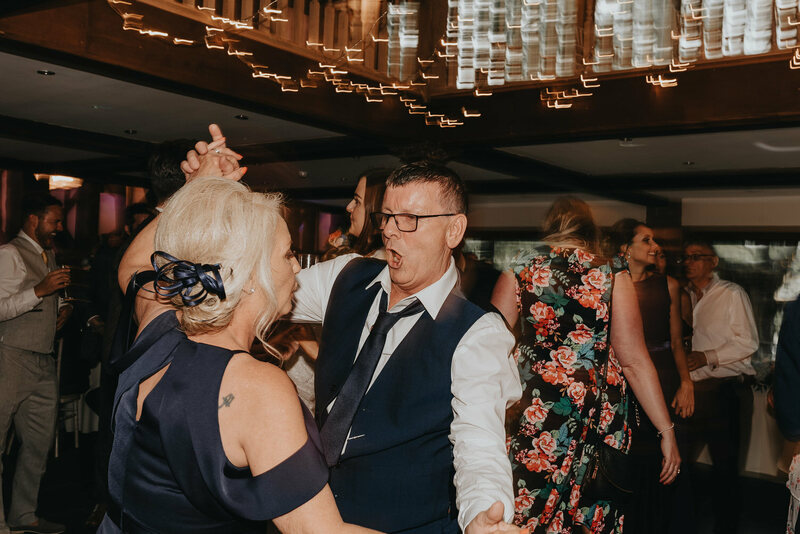 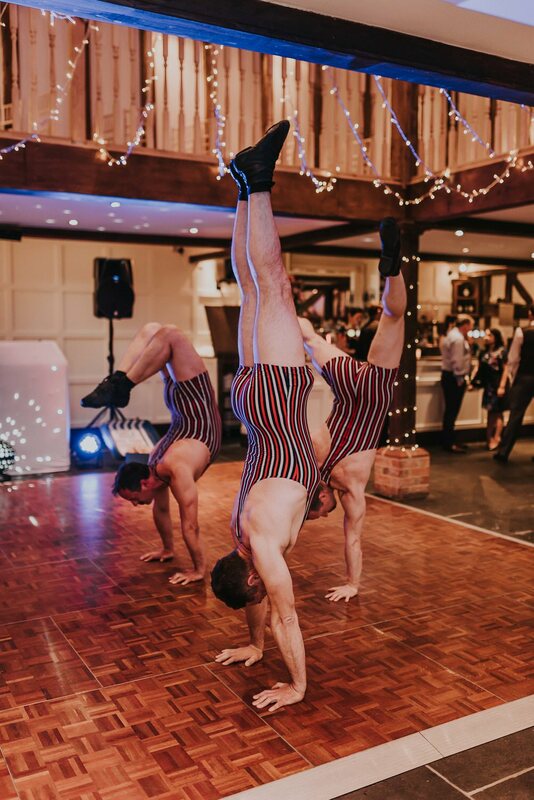 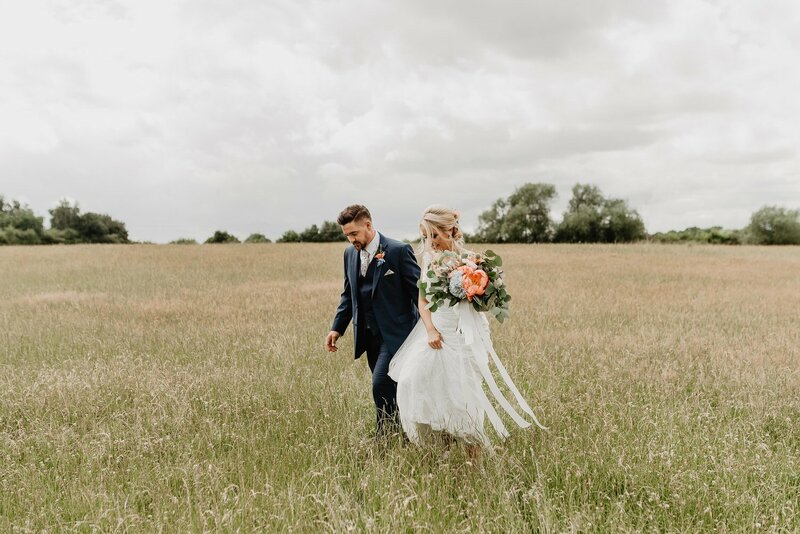 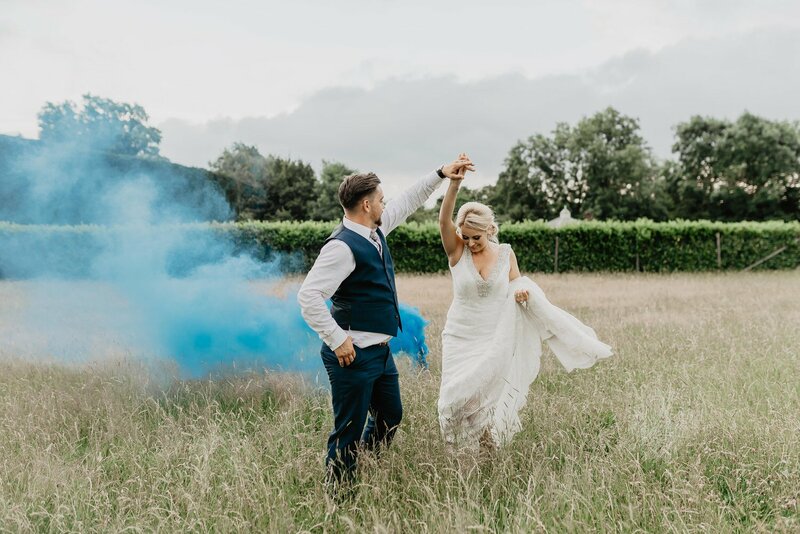 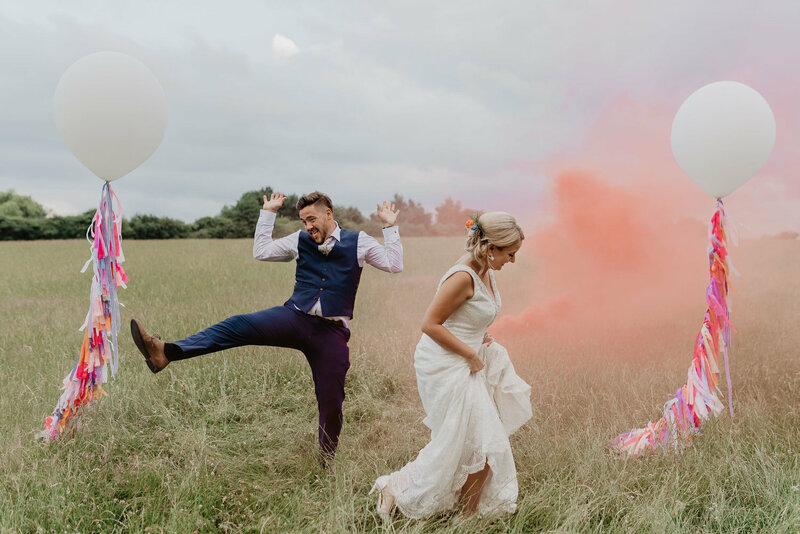 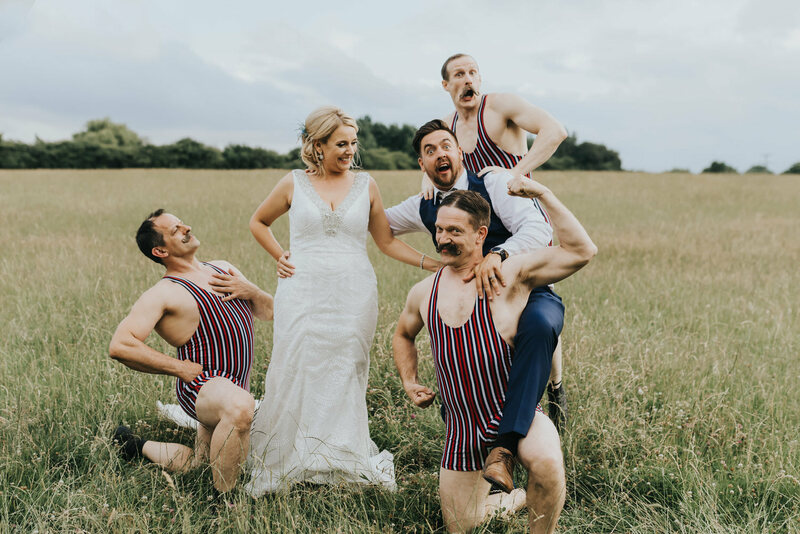 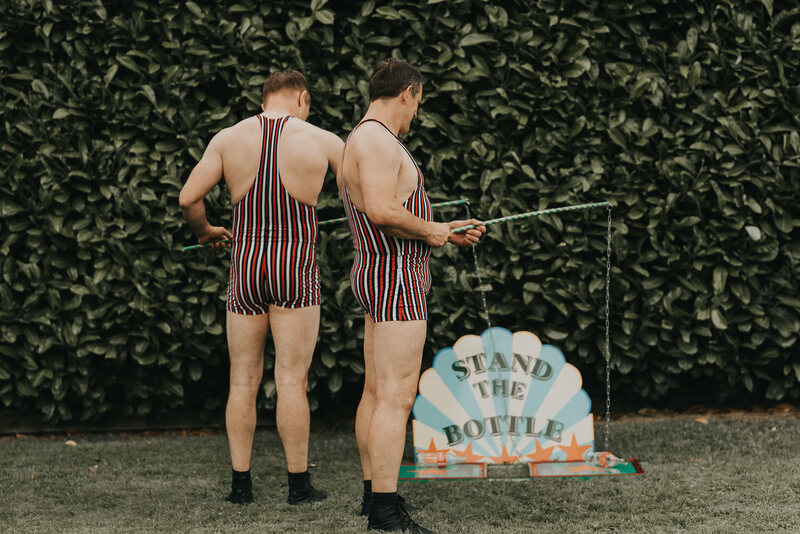 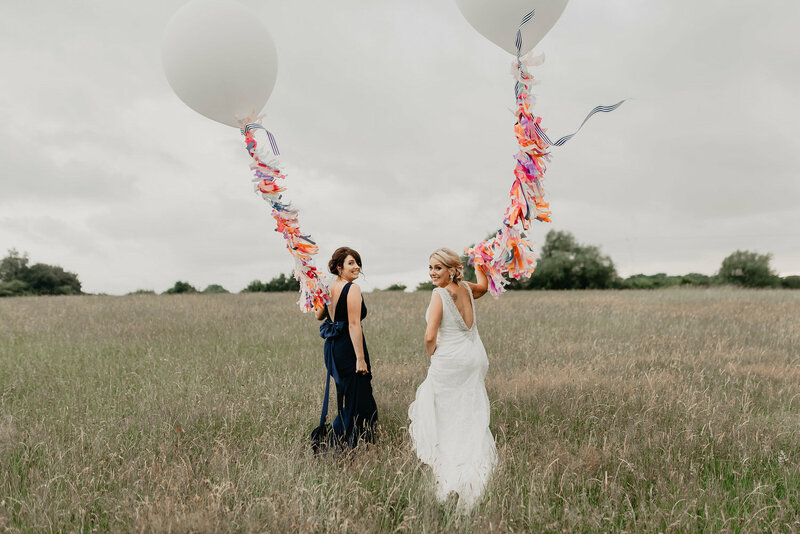 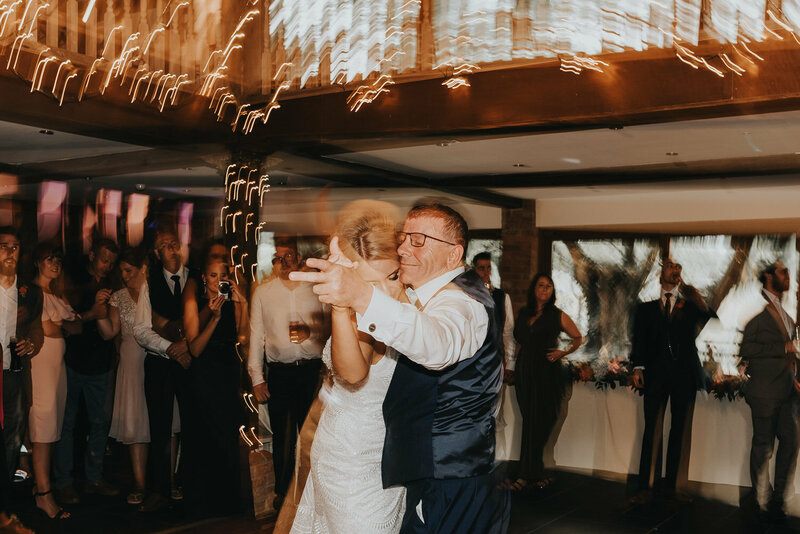 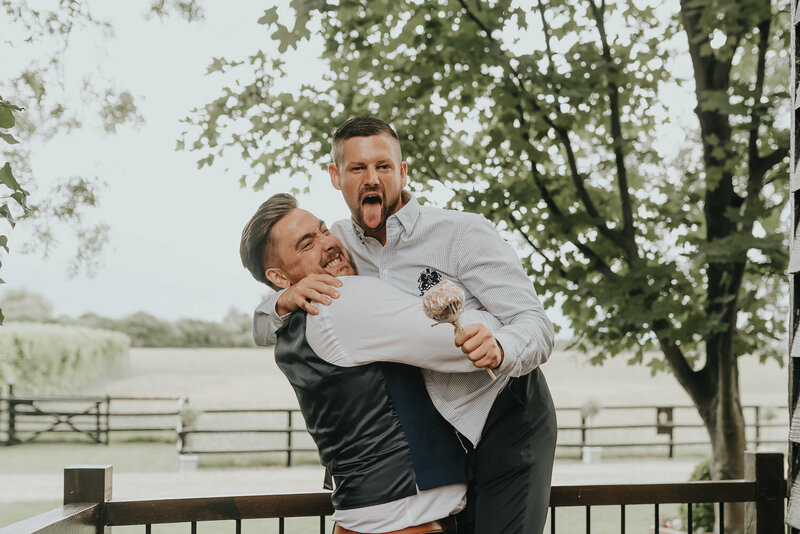 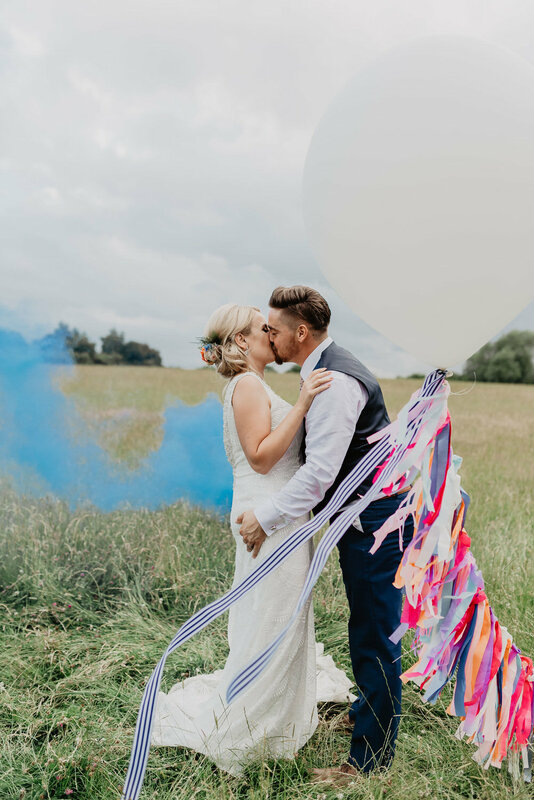 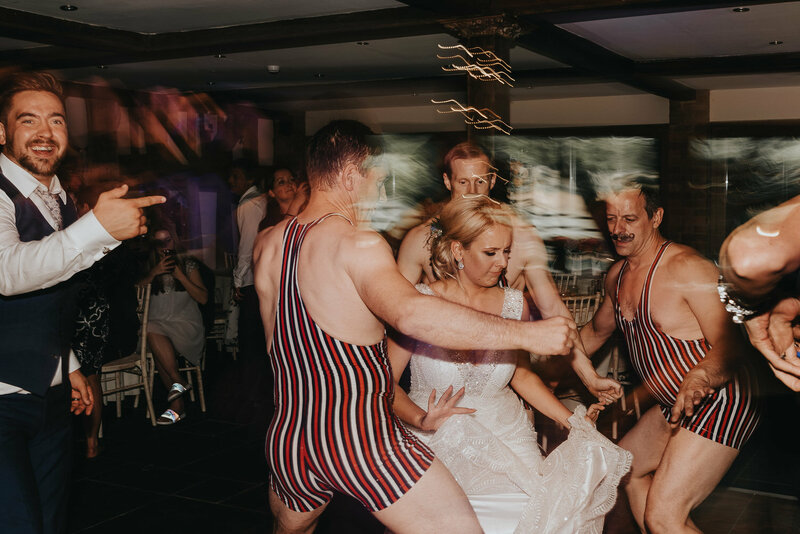 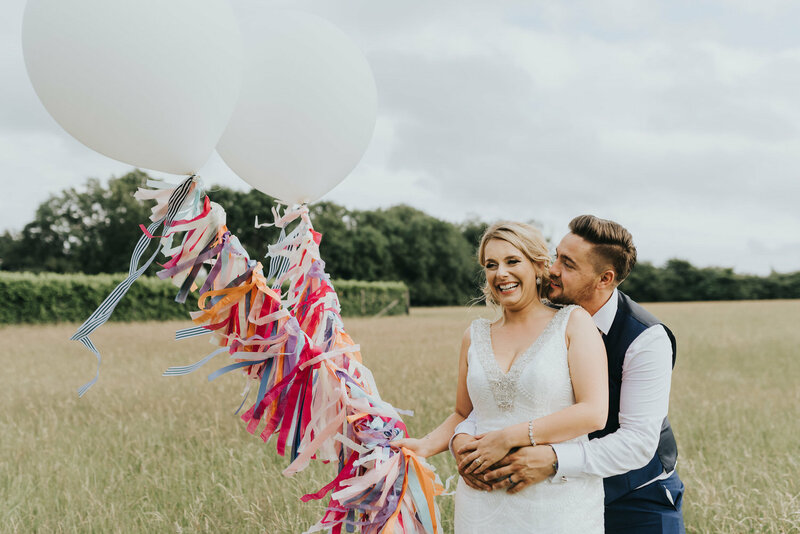 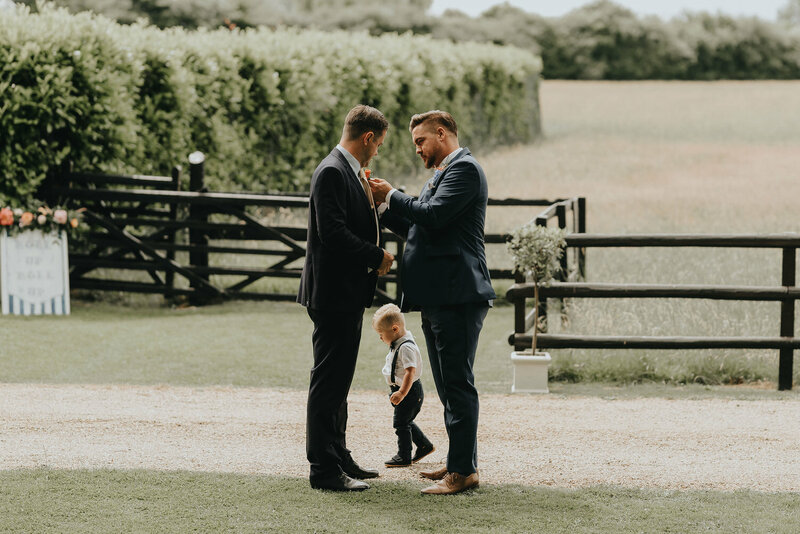 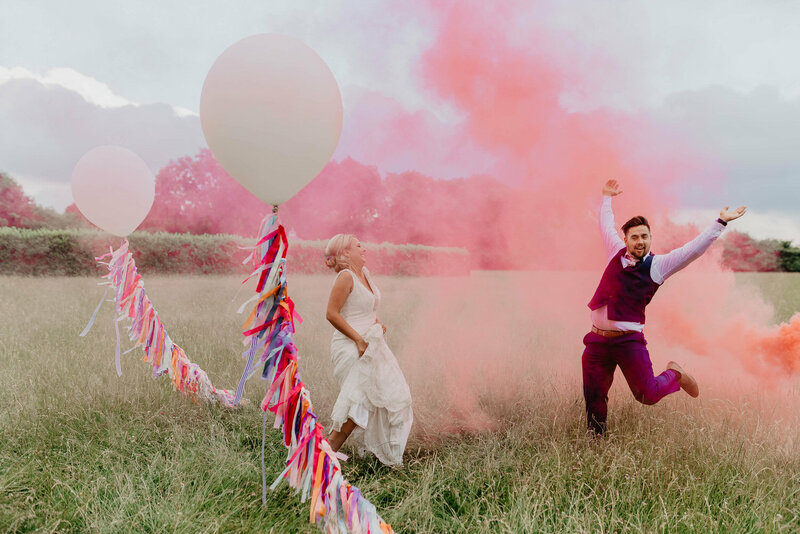 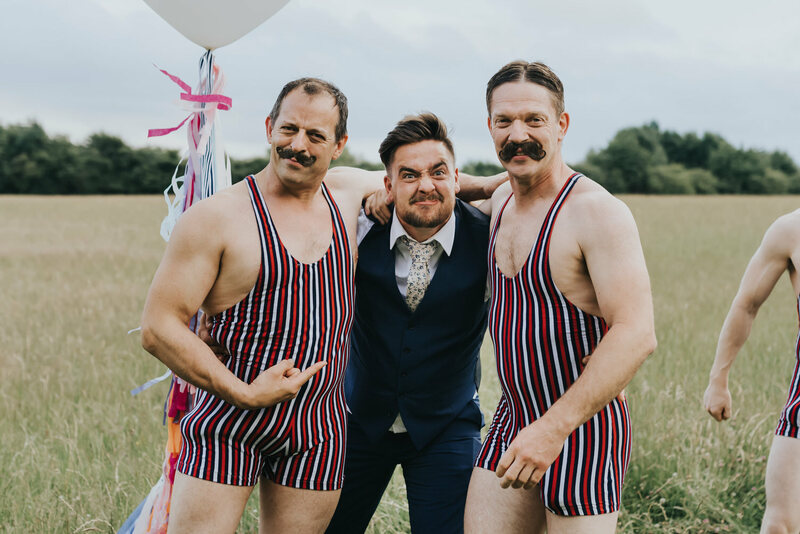 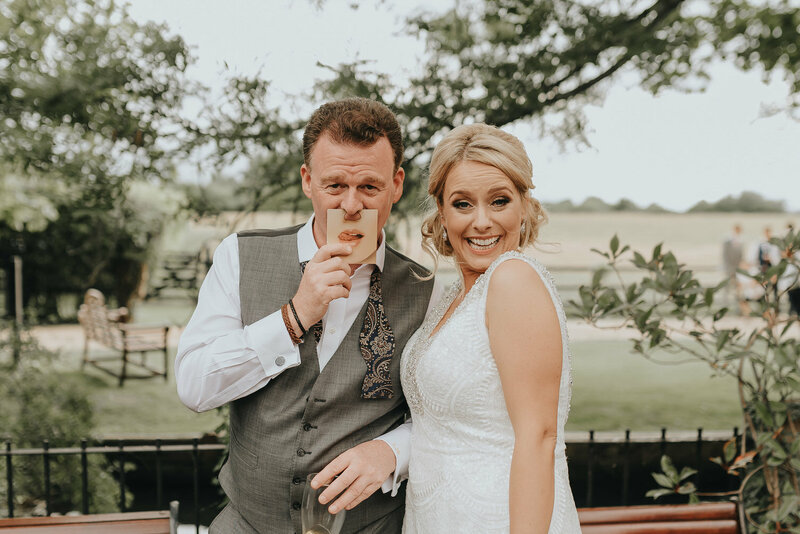 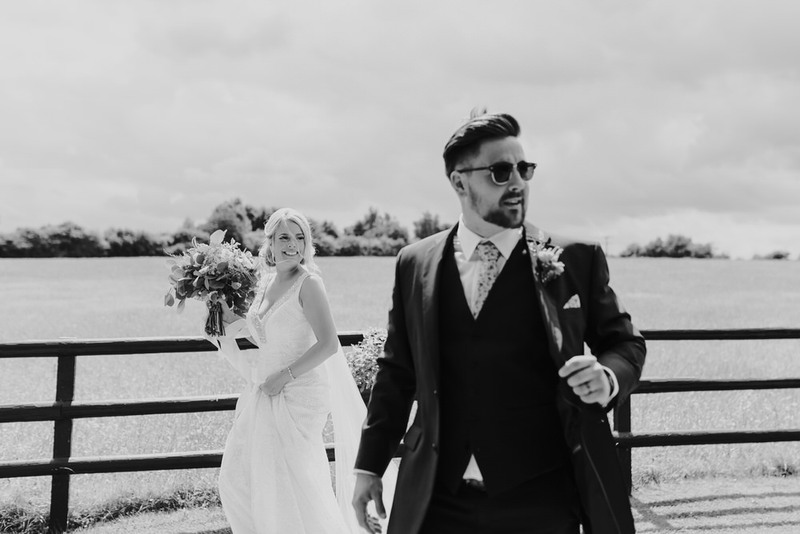 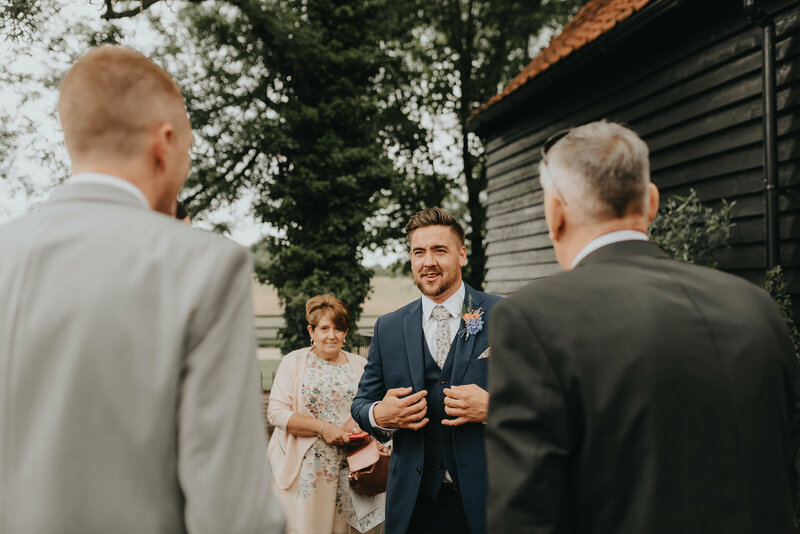 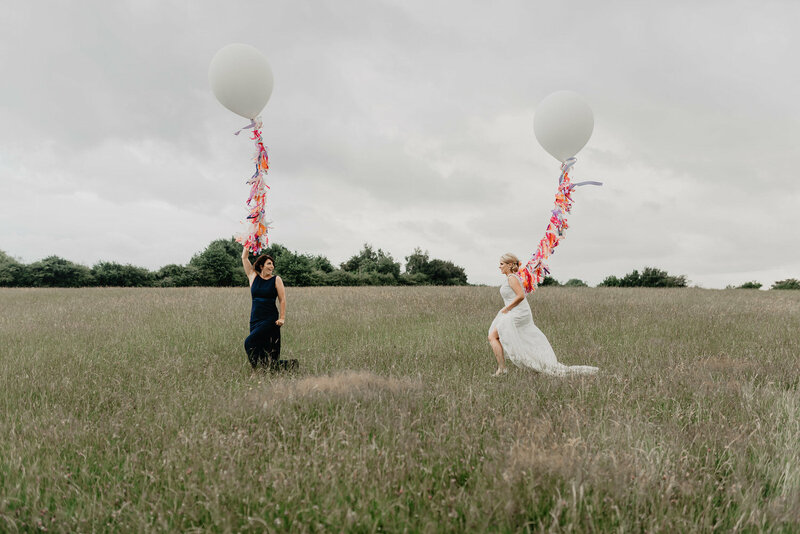 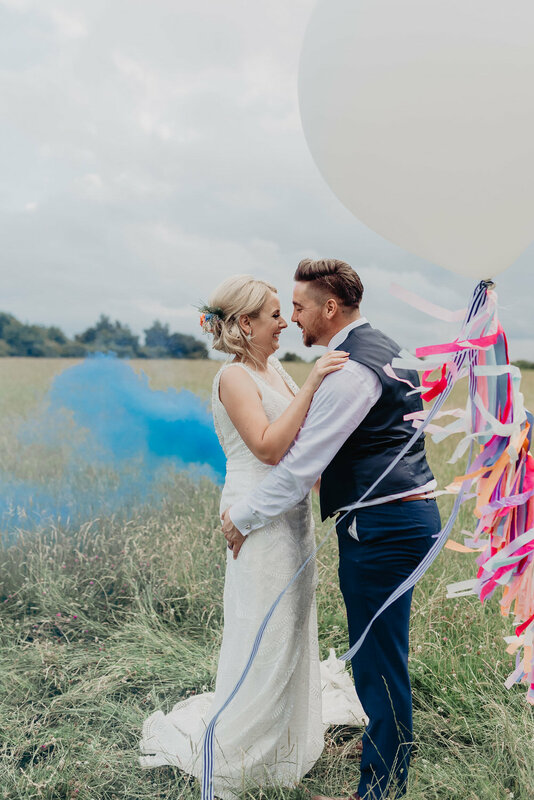 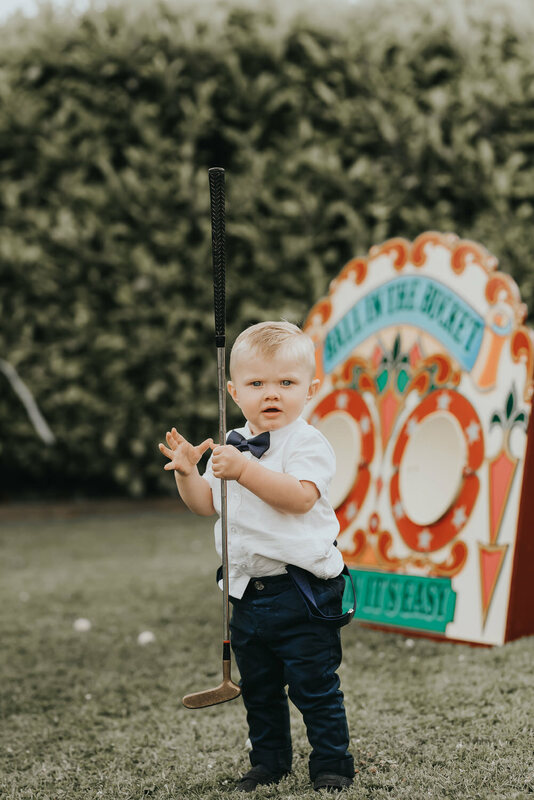 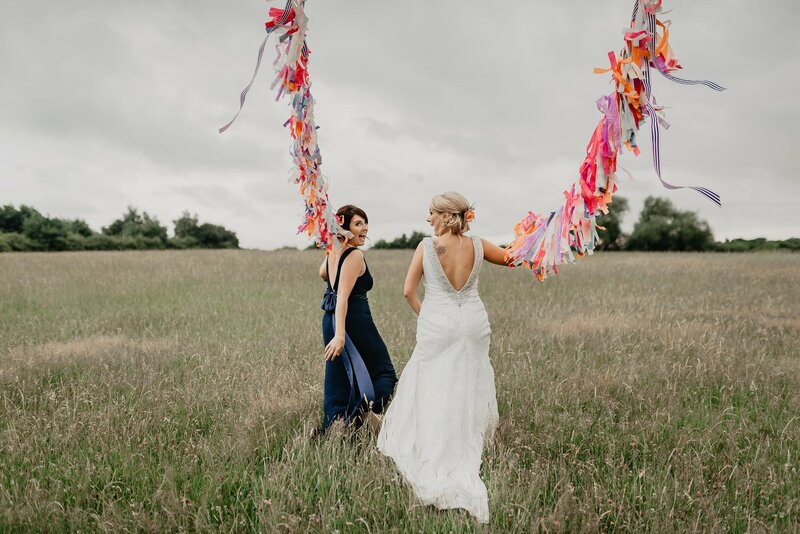 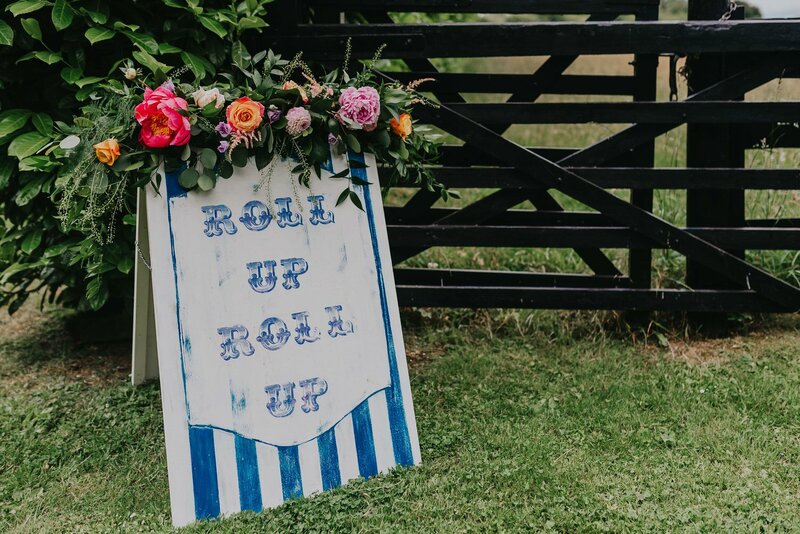 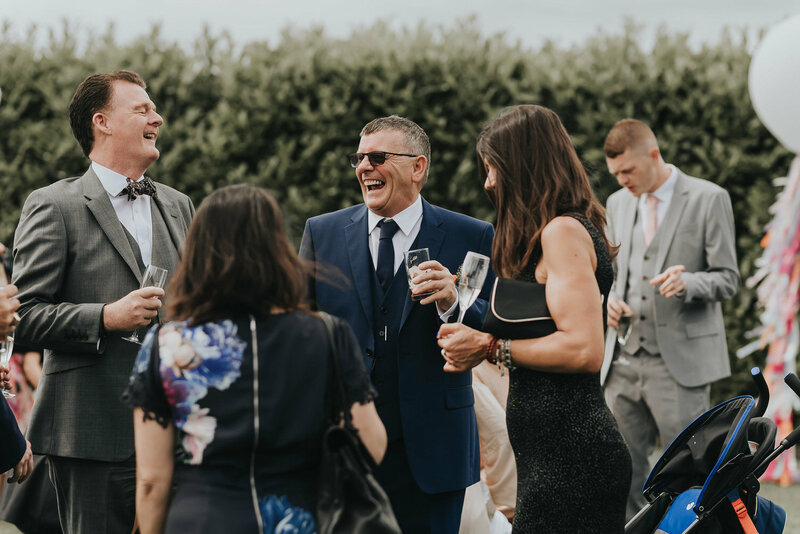 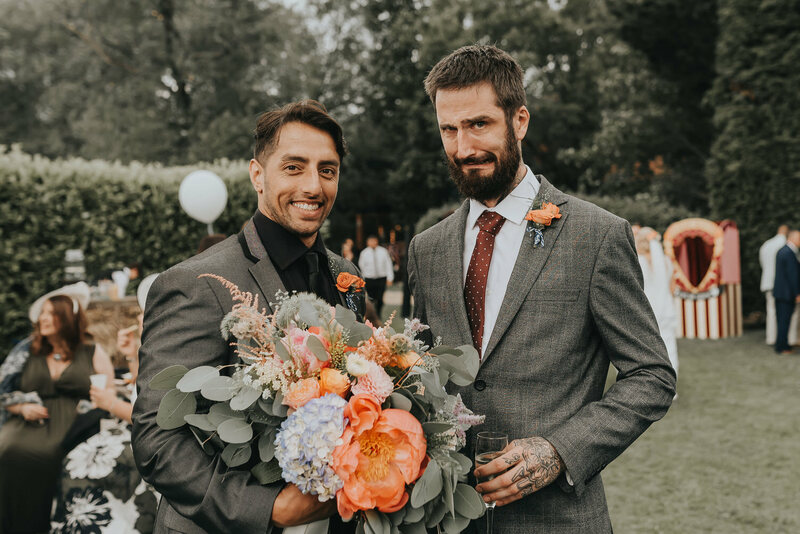 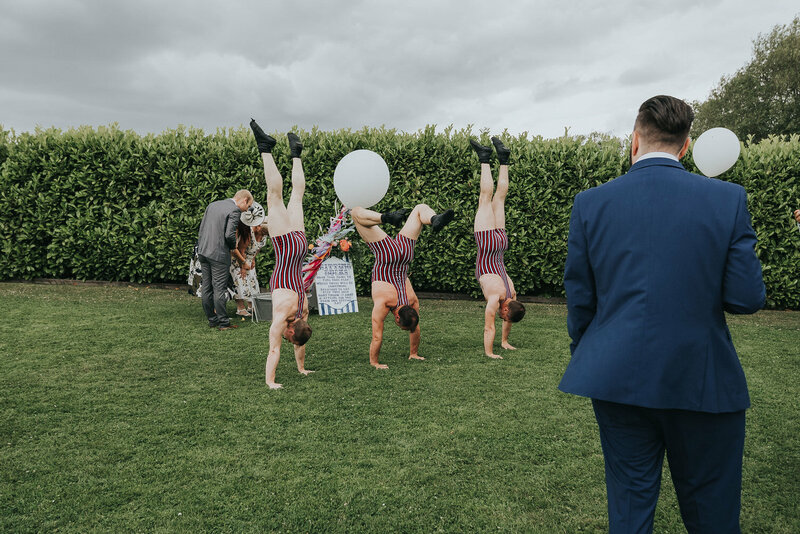 They are both such wonderful people with bundles of charisma so the colourful, alternative funfair wedding theme suited them down to the ground!